Poverty and inequality are taking a toll on our communities, yet BC is the only province without a comprehensive poverty reduction strategy. Fortunately, the BC NDP government has committed to taking action. They have established a task force to consult on the key elements of a made in BC plan. Individuals can make email submissions outlining their thoughts. Raising the minimum wage is one key element of a comprehensive poverty reduction strategy, but there is more our government needs to do. We’ve worked with our friends at the BC Poverty Reduction Coalition to create a draft email with all of their recommendations. Time is running out so send your submission today. All you need to do is add your name and postal code, or you can adapt the email and add your own message. Poverty and inequality cost all of us. Support our government in making change so that everyone has a chance to thrive in BC. 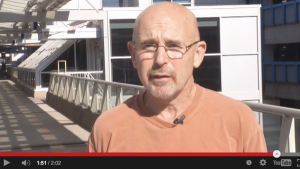 Minimum wage is going up in BC, but some workers are left out. Liquor servers, farmworkers and live-in home support workers are among the groups of workers who can be paid less than the minimum wage under the current rules. That’s just not fair. I think there should be no exemptions to the minimum wage. It should be just that – the minimum a person can be paid for any kind of work in the province of BC. They should be paid for each hour worked and be eligible for overtime when working in excess of 40 hours per week. Further, these exemptions are discriminatory – women and workers of colour are over-represented in these exempt jobs. The existence of exemptions also makes the rules harder to follow and opens the door to other types of exploitation and abuse of low-wage workers. Exemptions to the minimum wage should end immediately, and workers should receive the same pay and increases as other minimum wage workers in BC. BC’s minimum wage is going up, but some workers are still exempted from the minimum wage. For example, liquor servers, farm workers and live-in home support workers can all be paid at rates lower than minimum wage. These lower wage rates are discriminatory because women and workers of colour are over represented in these occupations. Exemptions to the rules are also confusing to workers, and can lead to additional forms of exploitation by bad bosses. The Fair Wages Commission will be submitting a report on minimum wage exemptions in the next few weeks and our government will have the chance to end these unfair rules. Let’s make sure they hear our voices. Tell them it’s time that BC had one fair wage for all workers – no exceptions! Send a message to the Minister of Labour, Harry Bains, right now! But to make Liberal MPs feel the heat, we need as many people as possible to show up to the local meeting near them. Are you in? Click here to RSVP. It takes less than a minute. We’ll follow up with information about the closest meeting happening near you. Please join us! When Sears Canada filed for insolvency, they left their pension underfunded by more than $250 million. Secured creditors like banks and bondholders are in line to be paid out first. The scraps, if any, will be scattered among other creditors; pensioners will be lucky to see pennies on the dollar towards their pension deficit. This is completely legal under *federal law. That’s why we are calling for changes to the law to put pensioners first – the best solution. But our Prime Minister has remained silent. But CPP and EI are NOT solutions. People on pensions don’t qualify for EI. Pensioners were already counting on CPP to supplement their modest pensions. Companies should pay up. No one should lose their retirement security because our laws allow corporations to shirk their debts. That’s why we’re calling for the Liberal Government to change legislation to protect pensioners. We’re organizing a National Day of Action on Wed. February 21st. We need your support. Let’s not let our government – or Canadian companies – walk away from pension commitments! • More than 1,400 called their MPs with the same message. Our Prime Minister is unmoved. So we’re asking you to do more. We’ve declared a National Day of Action to Protect Pensioners on Wed. February 21st. On Feburary 21st, concerned citizens will meet with government MPs in their local offices. We have volunteer spokespeople to lead the charge. But we need you to show up to your local meeting and let your MP know you care too. Nothing matters more to MPs than the views of their constituents! MPs will listen because they need YOUR support to get re-elected. Click “RSVP HERE” now and we’ll send you the details to join in the National Day of Action event closest to YOU! Don’t let the pensioners pay the price for corporate greed and mismanagement. For more information about, “Why is Super-priority is the best solution?” and other Frequently Asked Questions, visit: www.carp.ca/pensioners. *CCAC – The Companies’ Creditors Arrangement Act is a federal law allowing insolvent corporations that owe their creditors in excess of $5 million to restructure their business and financial affairs. The labour movement is marking the life of BC’s first NDP Premier Dave Barrett, a friend of working people, and a politician who had a profound impact on our province, says BC Federation of Labour President Irene Lanzinger. BC’s 26th premier, Barrett lead a reform-minded government that implemented a long list of measures between 1972 and 1975. Among these were a new labour code and a Labour Relations Board that fundamentally altered relationships between unions and employers that had all too often ended up in the courts. Other lasting accomplishments include the Agricultural Land Reserve, ICBC, and the BC Ambulance Service. Legislation passed by the NDP at the time also made it possible for government employees to join a union. Today’s announcement by Labour Minister Harry Bains of increased funding for the WCB Workers’ Advisors Office is a small but positive step to do more to help injured workers navigate the WCB’s complex injury claims system, says the BC Federation of Labour. “It’s a step in the right direction to level the playing field for injured workers,” says BCFED President Irene Lanzinger. Bains says an additional $3 million a year will be shared between the Workers’ Advisors Office and a similar office for employers. The Worker’s Advisors Office provides independent advice and advocacy for vulnerable injured workers whose claims for compensation have been rebuffed by the WCB at the first step in the process. 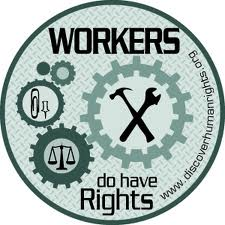 · Improved benefits for injured workers and the surviving dependents of killed workers. 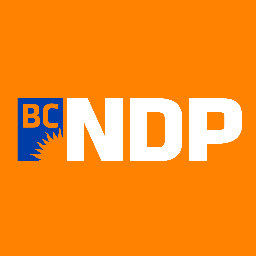 VANCOUVER— The BC NDP launched a petition campaign Wednesday asking British Columbians to show their support for a proportional voting system and getting big money out of politics. Beare notes that the election results present an unprecedented opportunity to work across party lines to make real changes that put people back at the center of politics in BC. Under the BC Liberal’s watch, dozens of mills have closed and 30,000 jobs have been lost. And Christy Clark has rejected a $15 minimum wage that would lift 500,000 workers out of poverty.Had enough yet? We sure have. Two weeks ago, we launched an election ad urging British Columbians to tell Premier Clark that it’s game over. Now I want you to be one of the first to see our second ad – released just moments ago. Watch it here – and share it with your friends and family to help get the word out. In level two of Christy Clark’s game, she’s chasing big money, while good jobs are disappearing and you can’t get a raise. Well, Premier Clark, two can play this game. Christy Clark works for the rich and powerful. It’s up to us to make sure that we have a government that is working for the rest of us – but we need your help to spread the word. Watch and share this video – then ask your friends to commit to vote for a new government on May 9th. If we work together, better will happen here in BC. So many people helped me get to where I am today; something that makes me want to help others realize their full potential. It's why I want to lead a government that puts the interests of all British Columbians on the table and puts people back at the centre of politics. Fed up with Christy Clark’s game? Enough of school closures. Enough of our seniors not getting the care they need. Enough of Christy Clark’s photo-ops and her relentless cuts to public services. It’s clear that Christy Clark is working for people at the top, not us. Under the B.C. Liberals, the rich keep getting richer, while too many people are struggling to make ends meet. Good jobs we depend on are disappearing, and wages are flat. If we don’t stand up and say enough is enough, BC will become a place only the rich can afford to live. Christy Clark has been playing us long enough. On May 9th, let’s tell her it’s game over. 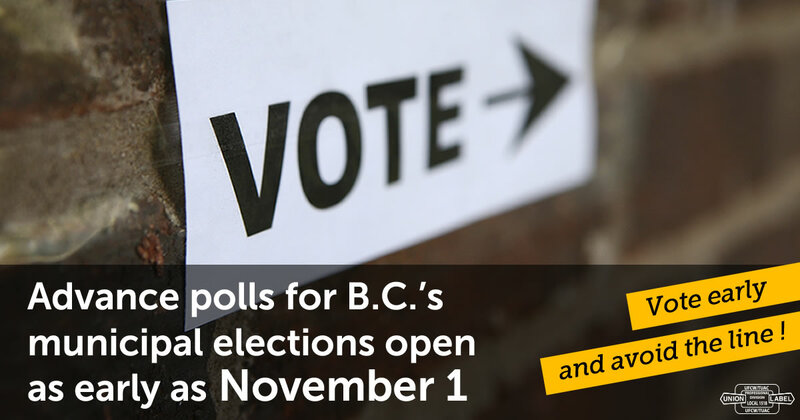 This election, let’s make better happen here in BC. Throne speech glosses over fundamental social, economic problems for working people in BC Vancouver – Today’s Speech from the Throne offered few concrete measures to make life better for hard-working British Columbians, nor did it deliver real action to address the growing poverty and inequality crisis that is too prevalent in our province, says the BC Federation of Labour. “It was the same platitudes, and same old excuses from a tired government that’s run out of gas,” says BCFED President Irene Lanzinger. “But it did serve to spotlight the magnitude of the social problems and the massive social deficit that 16 years of Liberal government have created, along with the urgent need for a new government that will address these challenges,” she says. Lanzinger says there was nothing in the speech that spoke to the plight of the 500,000 British Columbians who work for poverty-level wages and the poor in BC. “We live in an incredibly wealthy province. But when it comes to how that wealth is shared, BC is a deeply unequal place where a small group controls most of the wealth. “So the abject failure of the Clark government to tackle poverty and inequality are symbolic of what’s wrong with our province. Lanzinger says that if Premier Clark really cared about good jobs, there’s lots the Liberals could do starting with raising the minimum wage to $15 to lift 500,000 workers out of poverty. 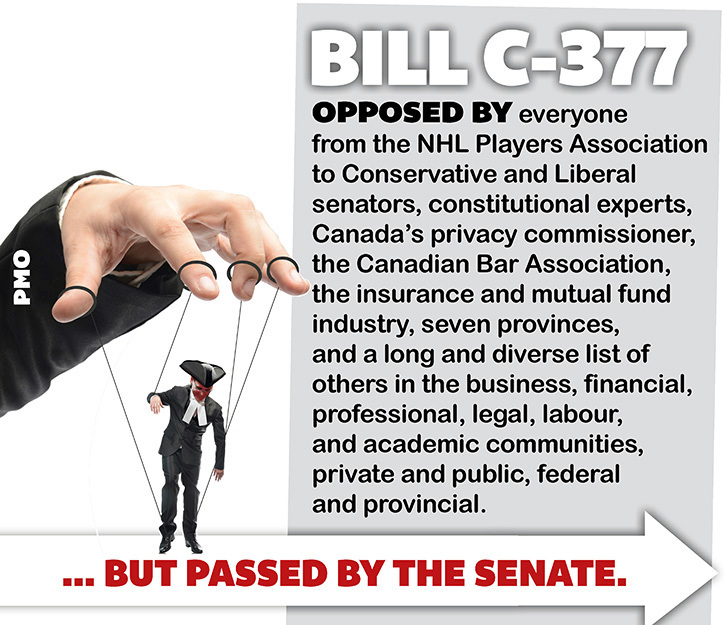 The bills C-377 and C-525 were ideologically-motivated and designed by the former Conservative government to undermine the ability of unions to advocate for workers and to make it more difficult for Canadians in federally regulated workplaces to join a union, respectively. “Canadian unions work hard to uphold values like fairness by protecting jobs, promoting health and safety in the workplace, and advocating on behalf of all Canadian workers. These bills were designed to interfere with that work,” said Yussuff. We love our new campaign video. As a supporter of the Fight for $15 campaign, we want you to be the first to see it. We hope you love it too. We want everyone to know that in next year’s provincial election, we will have the chance to make a $15 per hour minimum wage reality. We can vote to make it easier for people to make ends meet. September employment numbers released today by Statistics Canada show BC has the worst record of any province on full-time employment, after the province shed 20,000 full-time jobs in September, says the BC Federation of Labour. “Numbers bounce around month to month, but the downward trend for good-paying, full-time jobs over the last quarter and the rise of lower-paying, part-time work have been a growing concern,” says Federation President Irene Lanzinger. And that trend, she says, underlies a growing crisis that labour groups are demanding the provincial government address. The BCFED recently submitted a nine-point Good Jobs, Good Wages Action Plan to Liberal and NDP politicians on the finance committee of the provincial Legislature. Among the plan’s recommendations include a call that Victoria implement a good jobs strategy to create more full-time work in all sectors of the economy instead of precarious, part-time positions, and that the BC Government set a goal of making BC first in Canada in the creation of good-paying, full-time jobs. BC NDP leader John Horgan spoke with First Nations leaders at the Union of BC Indian Chiefs annual meeting in Vancouver. He made two important commitments to address immediate concerns of First Nations Peoples and lay the groundwork for a closer and more meaningful relationship to build a better future for BC. The Federation commented on these undertakings this afternoon. Yesterday, PM Trudeau officially announced the launch for applications for the Prime Minister’s Youth Council. The Youth Council will be structured to have young individuals participate and advise the PM on national issues such as employment, access to education, building stronger communities, climate change, and sustainability. It is our understanding that youth will drive part of the agenda, as well as advise on current priority issues for the government. The Council will be composed of 30 young people ages 16-24 who will serve 2 year terms. All travel and expenses to participate will be covered by the PMO, who is dedicated to ensuring a diverse cohort of young people that represent all corners of Canada. It would be amazing to have lots of young labour-minded folks apply – young people who are union members, the children of union members, who are active in community campaigns, and who have attended the union summer camps for teens across the country. Please share far and wide with young people in your community, and encourage awesome young activists that you know to apply. The PMO has asked that organizations with reach to youth in remote communities also help support the applications of young people who might not have internet access, by spreading the word and allowing access to any community computers so that young folks can fill out the application. The application will be launched on July 22nd, 2016, and the first wave of applications are due August 12th, 2016. Applications will only be accepted online – no paper forms are available. Find more information here: https://www.canada.ca/en/campaign/prime-ministers-youth-council.html – you can also sign up to directly receive information on the youth council by hitting the SIGN UP button on the main page. Get a job. But I already have one! Yes, Christy Clark, working poverty is a real problem in BC. More than 100,000 workers living in Metro Vancouver are poor. Today, a report titled Working Poverty in Metro Vancouver was released. The results are disturbing, but not surprising for those living in the Lower Mainland. Too many working people are struggling to get by. Telling people to ‘get a job’ doesn’t cut it. The real solution to poverty wages is to end poverty wages by raising the minimum wage to $15/hr. Help us end poverty wages in BC by signing the petition. If you’ve already signed, tell your friends to sign too. Because if you work, you shouldn’t be poor. We have some exciting news. Today we are one step closer to ending poverty wages in BC. This afternoon in Kamloops, John Horgan, the leader of the BC NDP, has made a commitment to implement a $15 per hour minimum wage! If the BC NDP is elected in 2017, they will raise the minimum wage to $15 per hour by the end of their first term. Join us in sending a message to John Horgan to let him know the BC NDP has made the right decision. We need to make sure that John Horgan knows he and the BC NDP are on the right track. We need politicians to take bold economic positions that will make a real difference in the lives of working people. Because the people who work in our province must be able to afford to live here. This is a huge step forward for our campaign and most importantly for low-wage workers in BC. Your support has built the momentum necessary to ensure that raising the minimum wage will be an important issue in next year’s provincial election. Together we can build an economy that works for everyone. 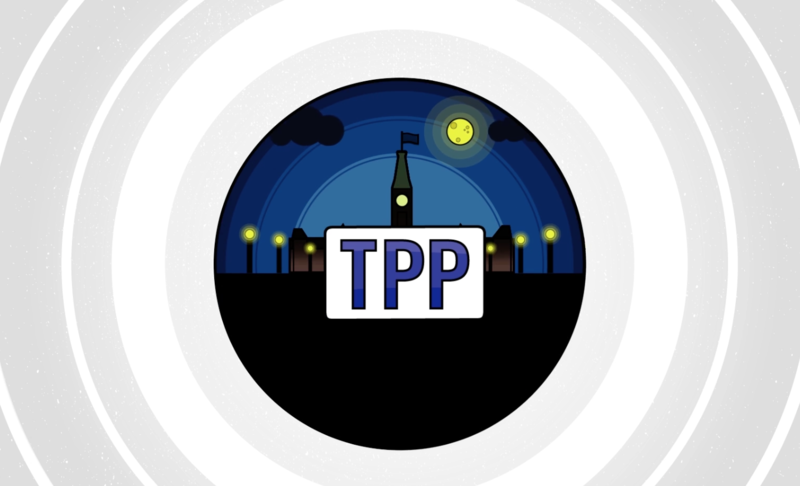 The CLC’s “Stop the TPP” campaign video and online petition form to your MP is available at http://canadianlabour.ca/stoptpp. Our 2 cents is 40 cents makes no sense! Wednesday Premier Clark announced an increase to the minimum wage, but it was just another missed opportunity to do what is right. The Premier chose to leave workers in poverty. In fact, a full-time minimum wage worker will still be living $5500 a year below the poverty line. That is simply unacceptable. While Clark enjoys salary bonuses amounting to hundreds of thousands, workers will only see fourteen bucks a week added to their pay cheques. That barely covers the cost of lunch. This announcement doesn’t reflect what British Columbians want for workers. Eight-three percent believe if you work full-time, you shouldn’t live in poverty. Help us put an end to poverty wages in BC. Send a message to Premier Clark. BC needs a fair minimum wage – a $15 per hour minimum wage. Click here to email Premier Clark: premier@gov.bc.ca. If you are too angry to come up with a message of your own, below we’ve drafted one you can copy and paste. Your announcement Wednesday was extremely disappointing. It shows that you are out of touch with the needs of workers in BC. In a province this rich there is no reason a full-time worker should be living in poverty, and a forty cent increase is not enough to lift workers above the poverty line. 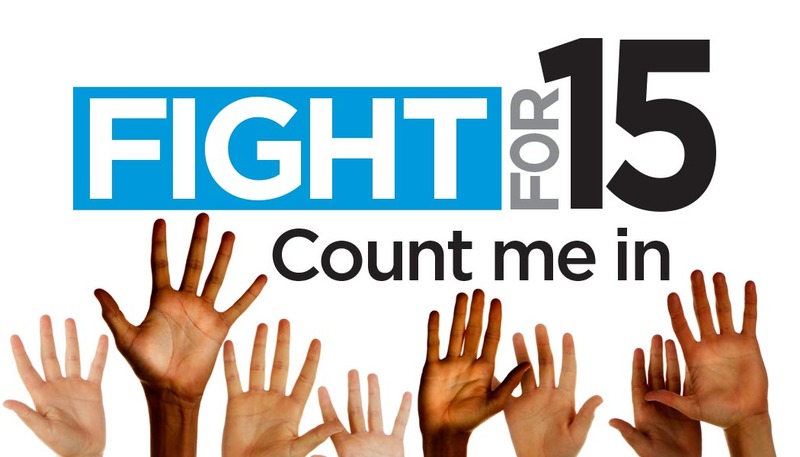 BC needs a fair minimum wage – a $15 per hour minimum wage. Across North America governments have recognized that a $15 per hour wage is fair and have put a plan in place to get there. Why not BC? It is time for your government to do right by British Columbians and put an end to poverty wages. Make it $15. In the last federal election, Canadians voted for “Real Change”. So why is the government considering ratification of the Conservative-negotiated Trans-Pacific Partnership? And you can help build momentum. Like our Facebook page to be part of calls to action, to hear about upcoming events, and to learn about wins across North America. Toronto, On – “Canadians voted for change in the last election and we got change, our jobs are flying out of the country, what the hell is going on,” said IAM Canadian General Vice President Dave Ritchie. The amendments to the Act will free Air Canada from any obligation to conduct aircraft maintenance in Canada. Toronto, ON – « Les Canadiens ont voté pour du changement aux dernières élections et nous en avons du changement. Nos emplois quittent le pays! Que le diable se passe-t-il? », s’est demandé Dave Ritchie, vice-président général canadien de l’AIM. Les modifications apportées à la Loi auront pout effet de libérer Air Canada de toute obligation de faire effectuer l’entretien de ses avions au Canada. Under the Act formed in 1988, Air Canada was obligated to keep aircraft heavy maintenance facilities in Winnipeg, Mississauga and Montréal. But Air Canada sold its heavy maintenance to Aveos Fleet Performance 2007 who continued operations in the three centers until in went bankrupt in 2012 and 2,600 IAM members lost their jobs. Air Canada then moved most of its heavy-maintenance work out of the country. “When we called upon the Harper government to intervene in 2012 to save this important employer and those 2,600 jobs, they refused,” explained Hospes. “If Air Canada believes that Bombardier’s C-Series aircraft makes operational and financial sense for them, there should be no need to bribe them with a free pass to offshore all of their maintenance work,: explained Chartrand. Ottawa, ON – « Nous demandons à chaque membre de la députation fédérale de rejeter le projet de loi C-10 pour garder ces emplois au Canada », a déclaré Fred Hospes, président et directeur général du district 140 des transports de l’AIM. Ce matin, M. Hospes était sur la Colline du Parlement pour dénoncer le projet de loi C-10 modifiant la Loi sur la participation publique au capital d’Air Canada. Les modifications permettent à Air Canada de gérer le type ou le volume des travaux d’entretien effectués sur son parc d’avions au Canada. « En vertu de ces modifications, Air Canada n’a plus aucune obligation de faire effectuer ses travaux d’entretien au Canada, » a ajouté M. Hospes. Pourtant, la Loi de 1988 obligeait Air Canada de maintenir des centres d’entretien lourd d’avions à Winnipeg, Mississauga et Montréal. Toutefois, Air Canada a vendu sa division d’entretien lourd à Aveos Fleet Performance en 2007, laquelle société a maintenu les trois centres en opération jusqu’à ce qu’elle déclare faillite en 2012. Du coup, 2 600 membres de l’AIM ont perdu leur emploi. Air Canada a par la suite confié la majorité de ses travaux d’entretien lourd à des fournisseurs étrangers. « Lorsque nous avons demandé au gouvernement Harper d’intervenir en 2012 afin de préserver cet important employeur et 2 600 emplois en jeu, nous nous sommes heurtés à une fin de non-recevoir », a expliqué M. Hospes. Le 17 février dernier, l’AIM a été choquée d’apprendre que le gouvernement du Québec abandonnait sa cause. « En même temps, les libéraux de Justin Trudeau qui, lorsqu’ils étaient dans l’opposition, avaient dénoncé l’inaction du gouvernement Harper allaient maintenant encore plus loin, a expliqué M. Chartrand. Le gouvernement fédéral a déclaré vouloir moderniser la Loi en y éliminant toute obligation contraignante pour Air Canada de faire effectuer ses travaux d’entretien au Canada, et ce, en échange d’une vague promesse selon laquelle de futurs travaux seraient confiés à des centres d’excellence. Si Air Canada est d’avis que les appareils CSeries de Bombardier représentent un choix logique sur les plans opérationnel et financier, il ne devrait donc pas être nécessaire de lui graisser la patte en lui offrant un laissez-passer lui permettant de confier la totalité de ses travaux d’entretien à des fournisseurs de services étrangers », a ajouté M. Chartrand. Political Action – First broken Promise? John –Are we ready for liberal breaking promises? OTTAWA — The Liberals may be backing away from an election promise to bring back door-to-door mail delivery. Public Works Minister Judy Foote said that door-to-door delivery will continue for people who have not yet been issued a super mailbox, but she left the door open to the possibility that Canadians who have already lost door-to-door delivery would not get it back. “We are going to have a complete review of Canada Post and it will determine the next steps,” Foote said during question period. During the election, the Liberals promised to “save” home mail delivery. “By ending door-to-door mail delivery, Stephen Harper is asking Canadians to pay more for less service. That is unacceptable,” the Liberals’ platform stated. The NDP and the Greens also campaigned to “restore” door-to-door mail delivery. The NDP and the Liberals asserted during the election that bringing back home delivery would not cost taxpayers any money and could be absorbed by Canada Post. Liberal MP John McCallum and NDP MP Guy Caron noted the Crown corporation had posted a budget surplus in 2014. The Crown corporation’s third quarter financial report, however, shows Canada Post reported a loss before tax of $20 million in the first three quarters of the year compared with a profit before tax of $39 million during the same period in 2014. The postal agency argued in 2013 that its business model was not financially viable. It began to convert one third of the five million households who received door-to-door mail delivery to a community mailbox system. By Oct. 15, approximately 850,000 addresses had been converted to community mailboxes. Canada Post said the move would save $80 million annually. On Oct. 26, after the election, Canada Post announced it had temporarily suspended its program to convert door-to-door mail delivery into community mailboxes. The Crown corporation said the move meant that approximately 460,000 households that were expected to get super mailboxes would get to keep their current service. But those Canadians living in neighbourhoods where the conversion process was complete would still have to collect their mail and parcels at the community mailboxes. Canadian Union of Postal Workers called on the Liberals to bring back home delivery in time for Christmas. The community mailboxes are freezing shut, just as winter is beginning, union president Mike Palecek said in a press release. This fall BC’s minimum wage dropped to the second lowest in Canada, yet we have the highest cost of living. Other jurisdictions, like Seattle, San Francisco and Alberta, have a plan to get to a $15/hr minimum wage in the next couple of years. But Christy Clark’s plan won’t get us there until 2034. Isn’t it time we built an economy that works for everyone? Send a message to your MLA and let them know it is time for BC to step up. And it is not the zombies, ghosts and witches knocking on your door tonight. Living below the poverty line is scary! And having to work 2 or 3 jobs to pay the rent means that you can’t even take your kids out to trick or treat. It is time to end poverty wages in BC. Let’s raise the minimum wage to $15/hr. Together we can build an economy that works for everyone. Today is Election Day. It’s time for a Better Choice and a new government that stands for issues that matter to working Canadians: Good Jobs, Retirement Security, Health Care and Childcare. 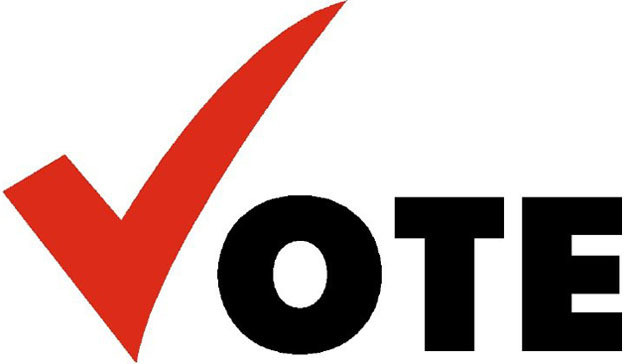 Find out when and where to vote at elections.ca. Don’t forget to bring your proof of identity and address. Today’s post is brought to you by the letter V.
And help get out the vote, in any way you can. Together, we can make that better choice and bring in a government that we can trust to do the right thing. La publication d’aujourd’hui vous est offerte par la lettre V.
Et par la lettre O. Et aidez à inciter les gens à voter, comme vous le pouvez. Ensemble, nous pouvons faire le meilleur choix et élire un gouvernement en qui nous avons confiance pour faire ce qu’il y a de mieux. Only a day before the most important election in Canada. We will contact you regularly to address the important issues and give you a report on the position of the parties for workers. I hope you will share with others. • Expand Universal Childcare Benefit now totaling 4.4 billion/yr. • Delay eligibility Old Age Security to 67 from 65. • Increase access to childcare. • Restore door-to-door mail delivery. • Restore eligibility of old age security to age 65. • Return eligibility for Old Age Security to age 65. • Develop affordable & predictable housing support and reduce homelessness. Il ne reste plus que 2 jours avant la plus importante élection au Canada. Nous communiquerons avec vous à intervalles réguliers dans l’optique d’aborder les enjeux importants et vous faire rapport sur les prises de position des partis en ce qui concerne les travailleuses et travailleurs. J’espère que vous ferez circuler cette information. Commentaire : Réduire les prestations de retraite nuit directement aux aînés. Commentaire : Le formulaire long du recensement favorise l’équité en matière d’emploi, mais la mesure n’a rien donné de positif pour les services de garde d’enfants. Commentaire : Un système national de garderies publiques se fait attendre depuis des lunes et favoriserait l’égalité des femmes. Commentaire : Le logement est un droit fondamental de la personne. Only 3 days before the most important election in Canada. We will contact you regularly to address the important issues and give you a report on the position of the parties for workers. I hope you will share with others. Repayment of financial assistance according to income earned after graduation. Have dialogue with provinces to make sure post-secondary education is affordable & accessible. • Debt forgiven over $10,000. • Abolish tuition fees for post-secondary education by 2020. Il ne reste plus que 3 jours avant la plus importante élection au Canada. Nous communiquerons avec vous à intervalles réguliers dans l’optique d’aborder les enjeux importants et vous faire rapport sur les prises de position des partis en ce qui concerne les travailleuses et travailleurs. J’espère que vous ferez circuler cette information. Commentaire : Les régimes d’épargne privés bénéficient aux mieux nantis. Commentaire : L’engagement à l’égard de l’égalité d’accès doit être renforcé. Commentaire : L’accès à l’éducation doit être un droit. Commentaire : Réduire les frais de scolarité et l’endettement étudiant sont de bonnes mesures. Only 5 days before the most important election in Canada. We will contact you regularly to address the important issues and give you a report on the position of the parties for workers. I hope you will share with others. • Oppose conservative attacks on right to form a union. • Repeal changes that infringe on federal public service workers’ right to free collective bargaining. • Fight gender based discrimination. Il ne reste plus que 5 jours avant la plus importante élection au Canada. Nous communiquerons avec vous à intervalles réguliers dans l’optique d’aborder les enjeux importants et vous faire rapport sur les prises de position des partis en ce qui concerne les travailleuses et travailleurs. J’espère que vous ferez circuler cette information. Commentaire : Les syndicats sont ciblés au même titre que les organismes qui remettent en question les conservateurs. Commentaire : Les libéraux ne s’engagent pas à établir un salaire minimum pour les employés de compétence fédérale. Commentaire : Le NPD a la position la plus solide lorsqu’il est question des droits des travailleurs. Commentaire : Le racisme et toutes les autres formes de discrimination doivent être contestés. Le Canada doit se doter d’une vision audacieuse des droits des travailleurs et des droits de la personne. Only 6 days before the most important election in Canada. We will contact you regularly to address the important issues and give you a report on the position of the parties for workers. I hope you will share with others. • Temporary foreign workers to be removed after 4 years without permanent status. 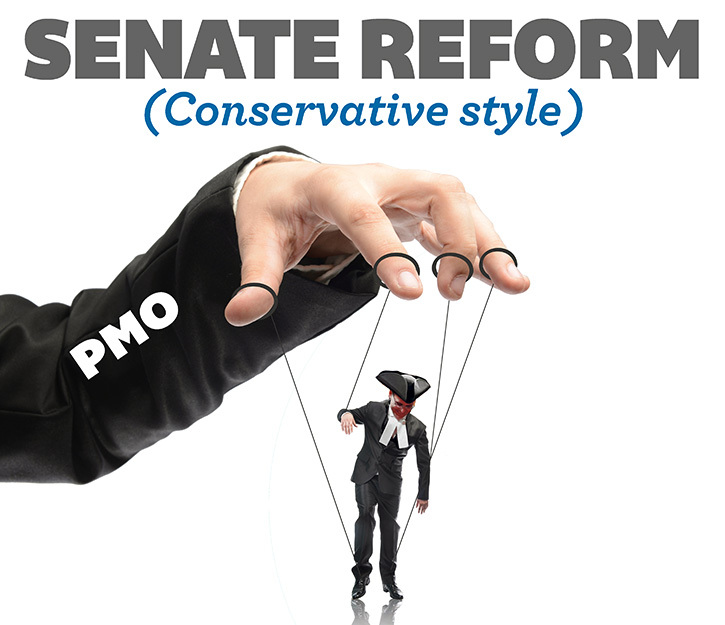 • Opposes aspects Bill C-24. • Full review of Temporary Foreign Worker program. • 400 million to improve immigration system. • Moratorium of temporary foreign worker’s until blatant abuses of program stopped. Il ne reste plus que 6 jours avant la plus importante élection au Canada. Nous communiquerons avec vous à intervalles réguliers dans l’optique d’aborder les enjeux importants et vous faire rapport sur les prises de position des partis en ce qui concerne les travailleuses et travailleurs. J’espère que vous ferez circuler cette information. Commentaire : Les travailleurs migrants sont exploités. Commentaire : Nous devons protéger tous les travailleurs. Only 7 days before the most important election in Canada. We will contact you regularly to address the important issues and give you a report on the position of the parties for workers. I hope you will share with others. • Exert Canadian support for multinational institutions. • Re-open Veterans Affairs Service offices. • Only join UN-mandated military operations. • Re-open Veterans Affairs offices. Comment: Veterans should be entitled to access public services. • Re-align defense spending with focus on disaster systems and toward UN peacekeeping. Il ne reste plus que 7 jours avant la plus importante élection au Canada. Nous communiquerons avec vous à intervalles réguliers dans l’optique d’aborder les enjeux importants et vous faire rapport sur les prises de position des partis en ce qui concerne les travailleuses et travailleurs. J’espère que vous ferez circuler cette information. Commentaire : Il n’y avait rien d’honorable à fermer des bureaux du ministère des Anciens Combattants. Commentaire : Les anciens combattants doivent avoir accès aux services publics. There’s a mood for change across the country and our new 1-minute video, Can’t Wait, captures this feeling of urgency and excitement. Watch it now. I promise it will make you laugh and get you in the mood to vote for change! 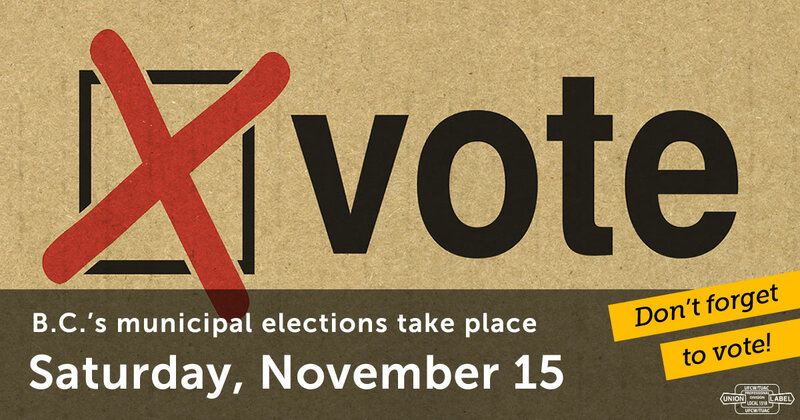 And remember, if you can’t wait until election day to vote for change, you can vote throughout the weekend at advance polls in your riding. Help us spread the word. Share the video with your friends. 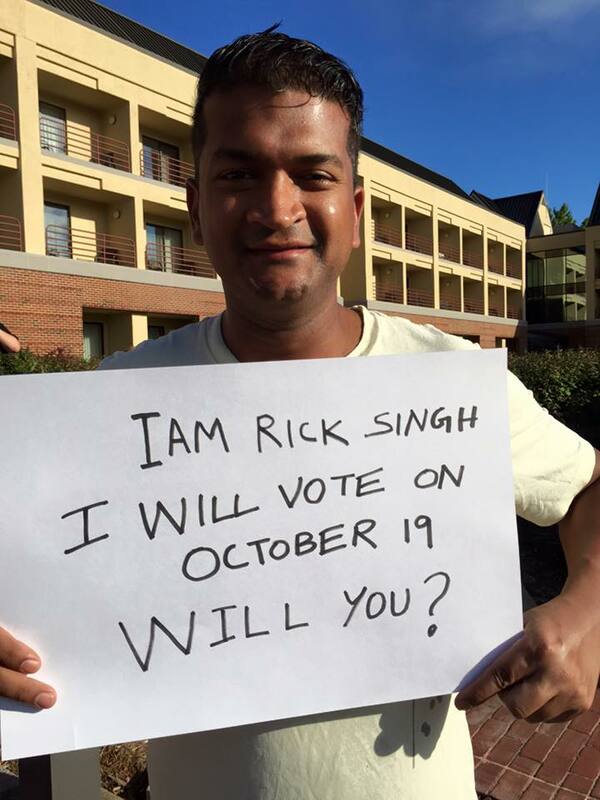 Make the Pledge to Vote. It is imperative that we make an informed decision, when it comes to our future in Canada. Make the right choice for positive change. There is a better choice! John Vincent, Jorge Morales, Leonidas Kokkinis, Neil Chia, Rick Singh, Yovan Ramyead and Katharina Pekarek. Are you anticipating awkward election conversation at the dinner table this weekend? Wondering how you’ll convince your friends or family to vote for a better choice this time? At the Better Choice Campaign, we’ve got everything you need to crush awkward and own the debate. Get ready with the facts on: Good Jobs, Retirement Security, Health Care and Childcare. Join the conversation on Facebook and Twitter. Visit betterchoice.ca now to get ready. Every conversation we have with friends, family and coworkers between now and Election Day on October 19 helps us get closer to making these better choices a reality under a new government. 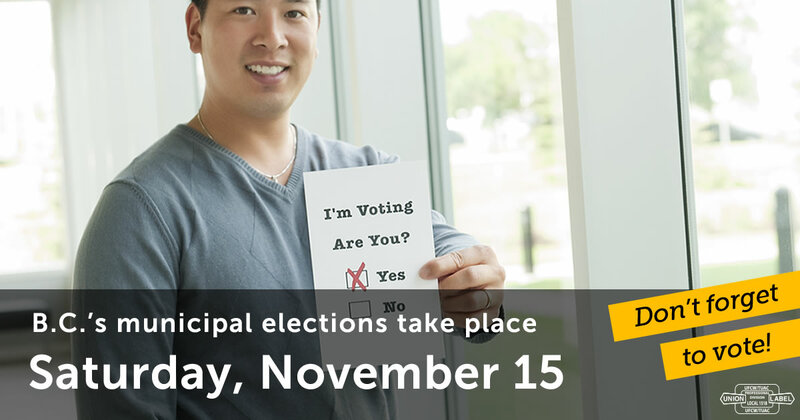 Don’t forget that you can avoid Election Day lines by casting your ballot during the advance polls, which start October 9 and run through Monday, October 12. 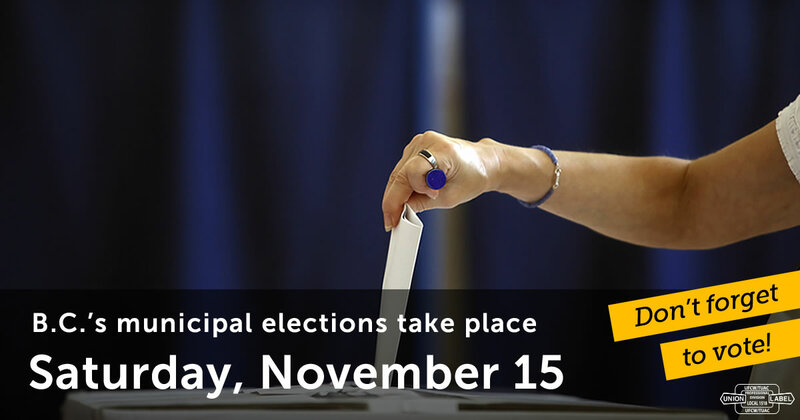 Polling hours are noon to 8:00 p.m. (local time). If you didn’t receive your voter information card in the mail, visit Elections Canada to make sure your registration information is up-to-date and to find out where to vote! As voters, we can determine the future of our country and in this election we can bring in a new government that supports the issues that matter to working Canadians. Only 9 days before the most important election in Canada. We will contact you regularly to address the important issues and give you a report on the position of the parties for workers. I hope you will share with others. • Bring 10,000 Syrian & Iraqi refugees over four years. • Bring 25,000 government sponsored Syrian refugees to Canada. • Bring 10,000 government-sponsored Syrian refugees, while removing cap on private sponsorship. Comment: Ending war in Syria essential to peaceful recovery. • Bring 25,000 refugees to Canada. Il ne reste plus que 9 jours avant la plus importante élection au Canada. Nous communiquerons avec vous à intervalles réguliers dans l’optique d’aborder les enjeux importants et vous faire rapport sur les prises de position des partis en ce qui concerne les travailleuses et travailleurs. J’espère que vous ferez circuler cette information. Commentaire : Ce n’est pas en larguant des bombes que nous trouverons une solution à la crise des réfugiés syriens. Commentaire : Mettre fin à la guerre contre la Syrie est essentiel au rétablissement de la paix. Only 10 days before the most important election in Canada. We will contact you regularly to address the important issues and give you a report on the position of the parties for workers. I hope you will share with others. • Favours elected Senate or scrapping it. • Overhaul electoral process by changing first-past-the-post system. • Strengthen Access to Information Act. • Bring in proportional representation. Comment: Proportional representation will increase the number of MPs who are of African descent. Senate should be abolished. • Create Council of Canadian Governance with federal government, First Nations, provinces, and cities. • Consult the public on proportional representation. Il ne reste plus que 10 jours avant la plus importante élection au Canada. Nous communiquerons avec vous à intervalles réguliers dans l’optique d’aborder les enjeux importants et vous faire rapport sur les prises de position des partis en ce qui concerne les travailleuses et travailleurs. J’espère que vous ferez circuler cette information. Commentaire : Le procès Duffy expose la corruption des conservateurs. La Loi sur l’intégrité des élections limite la participation des électeurs. Commentaire : Le système majoritaire uninominal fait en sorte que les membres de groupes raciaux sont sous-représentés à la Chambre des communes. Commentaire : La représentation proportionnelle aurait pour effet d’augmenter le nombre de députés de descendance africaine. Le Sénat devrait être aboli. Only 11 days before the most important election in Canada. We will contact you regularly to address the important issues and give you a report on the position of the parties for workers. I hope you will share with others. Comment: Bill C-51 infringes upon our human rights and promotes Islamophobia. • Oppose sending fighter jets to fight ISIS. 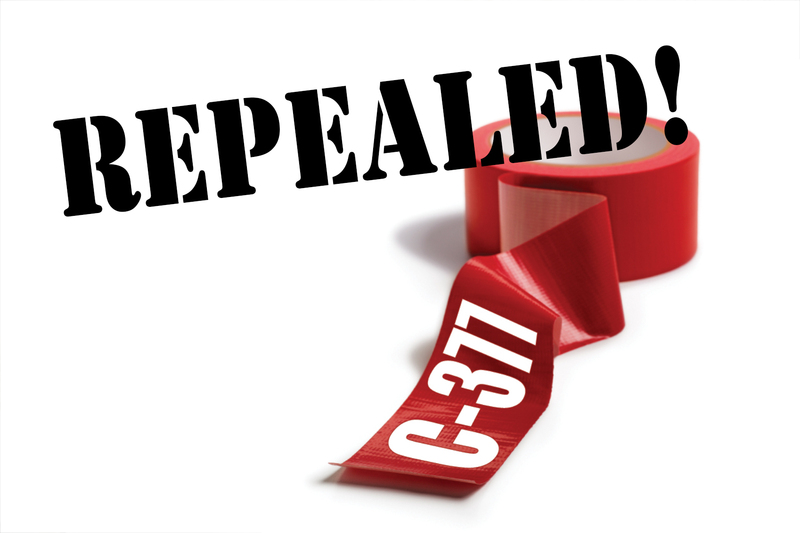 • Will repeal Bill C-51. • More oversight of anti-terrorist agencies. • Oppose purchasing F-35 stealth fighter jets. Il ne reste plus que 11 jours avant la plus importante élection au Canada. Nous communiquerons avec vous à intervalles réguliers dans l’optique d’aborder les enjeux importants et vous faire rapport sur les prises de position des partis en ce qui concerne les travailleuses et travailleurs. J’espère que vous ferez circuler cette information. Commentaire : Le projet de loi C-51 viole nos droits de la personne et encourage l’islamophobie. Commentaire : Le fait de voter en faveur du projet de loi C-51 a miné notre droit à la vie privée et nos droits de la personne. • S’engagent à abroger le projet de loi C-51. Commentaire : Le NPD a voté contre le projet de loi C-51 par principe. Commentaire : Les verts abrogeront le projet de loi C-51. Only 12 days before the most important election in Canada. We will contact you regularly to address the important issues and give you a report on the position of the parties for workers. I hope you will share with others. Comment: So-called “tough on crime” agenda resulted in mass incarceration of peoples of African descent and of Indigenous peoples. • Restrict mandatory minimum sentences to serious and violent offences. • Hire an additional 2,500 front-line police officers. • Repeal mandatory minimum sentences. • Oppose attempts to privatize prisons in Canada. Il ne reste plus que 12 jours avant la plus importante élection au Canada. Nous communiquerons avec vous à intervalles réguliers dans l’optique d’aborder les enjeux importants et vous faire rapport sur les prises de position des partis en ce qui concerne les travailleuses et travailleurs. J’espère que vous ferez circuler cette information. Commentaire : La prétendue « lutte contre la criminalité » s’est soldée par l’incarcération massive de personnes de descendance africaine et d’Autochtones. Commentaire : Le candidat libéral Bill Blair démontre un manque de souci pour le « cardage » et l’incarcération de masse. Commentaire : Augmenter le nombre de policiers ne permettrait pas de répondre aux demandes formulées par le mouvement Black Lives Matter pour le développement communautaire. Commentaire : Il est judicieux de s’opposer à la privatisation des prisons. Only 13 days before the most important election in Canada. We will contact you regularly to address the important issues and give you a report on the position of the parties for workers. I hope you will share with others. • $567 million over 5 years for Aboriginal people for community development. Comment: Failure to initiate inquiry into missing and murdered Aboriginal women promotes racism. • Establish a national inquiry into missing and murdered Aboriginal women. • Work on “nation-to-nation” basis with First Nations. • Adopt a “nation-to-nation” approach. • Call a public inquiry into missing and murdered Aboriginal women. • Act on recommendations of Truth and Reconciliation Commission. Il ne reste plus que 13 jours avant la plus importante élection au Canada. Nous communiquerons avec vous à intervalles réguliers dans l’optique d’aborder les enjeux importants et vous faire rapport sur les prises de position des partis en ce qui concerne les travailleuses et travailleurs. J’espère que vous ferez circuler cette information. Commentaire : Le refus de faire enquête sur la disparition et l’assassinat de femmes autochtones incite au racisme. Commentaire : Le processus de nation à nation adopté pour négocier l’Accord de Kelowna favorise le respect mutuel. Commentaire : Il faut progresser pour éliminer la violence faite aux femmes et aux filles autochtones. Commentaire : Une enquête nationale est un priorité des Premières Nations. Only 14 days before the most important election in Canada. We will contact you regularly to address the important issues and give you a report on the position of the parties for workers. I hope you will share with others. • Return to a surplus in the 2015-2016 fiscal year. • Balance the budget by the 2019-2020 fiscal year. Comment: The Liberal government, under Paul Martin, cut public services like Harper has done to reduce deficits. • Balance the budget by the 2016-2017 fiscal year. Comment: Priority should be on job creation and public services rather than balanced budgets. • Gradually pay down the debt while maintaining public services for social and environmental needs. Il ne reste plus que 14 jours avant la plus importante élection au Canada. Nous communiquerons avec vous à intervalles réguliers dans l’optique d’aborder les enjeux importants et vous faire rapport sur les prises de position des partis en ce qui concerne les travailleuses et travailleurs. J’espère que vous ferez circuler cette information. Commentaire : Le gouvernement Harper a éliminé des milliers d’emplois dans le secteur public, menant à des mises à pied massives et à un affaiblissement de l’économie. Commentaire : Le gouvernement libéral dirigé par Paul Martin a sabré dans les services publics tout comme Harper afin de réduire les déficits. Commentaire : La priorité doit être accordée à la création d’emploi et au maintien des services publics plutôt qu’à l’atteinte de l’équilibre budgétaire à tout prix. • Veulent progressivement réduire le montant de la dette tout en maintenant les services publics qui répondent aux besoins sociaux et environnementaux. Commentaire : Nous devons maintenir et bonifier les services publics. What IF Canadians made a better choice? Better Choice Campaign is in full swing. Good Jobs: Workers fuel our economy, so let’s choose a new government that will provide Canadians with high-quality and secure jobs. Retirement Security: Let’s choose a new government that will fight seniors’ poverty. Health Care: Let’s choose a new government that will invest in recruitment, training and in long-term care. Childcare: Let’s choose a new government that will set up a national childcare system that works for everyone. For more information on these issues, visit the Better Choice website. Get involved: order a Better Choice Activist Kit or join the Edu-Action online platform. On October 19th, we CAN make a Better Choice. Only 16 days before the most important election in Canada. We will contact you regularly to address the important issues and give you a report on the position of the parties for workers. • $5 billion/year in funding for infrastructure programs. Comment: Canada remains the only major industrial country with no national transit strategy –one of the reasons for GTA gridlock. • Expand infrastructure by encouraging pension funds to invest in domestic urban renewal projects. • Develop a public transit strategy with the provinces. • Give cities an extra cent of the federal gas tax ($420 million/year). • Provide $6.4 billion/year for municipal infrastructure projects. Il ne reste plus que 16 jours avant la plus importante élection au Canada. Nous communiquerons avec vous à intervalles réguliers dans l’optique d’aborder les enjeux importants et vous faire rapport sur les prises de position des partis en ce qui concerne les travailleuses et travailleurs. Commentaire : Le Canada demeure à ce jour le seul grand pays industrialisé à ne pas s’être doté d’une stratégie nationale de transports en commun. C’est une des raisons qui expliquent la saturation du réseau routier dans la région du Grand Toronto. Commentaire : Nous devons investir davantage dans notre infrastructure publique vétuste. Commentaire : Les projets d’infrastructure sont créateurs d’emplois et font la promotion de l’énergie propre. Commentaire : Le transport en commun soutient une économie de l’énergie propre. Only 17 days before the most important election in Canada. We will contact you regularly to address the important issues and give you a report on the position of the parties for workers. • Favour sector-by-sector regulations to cut greenhouse gas emissions. 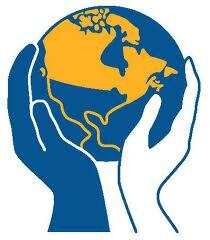 • Work with provinces to fight climate change by setting a price on carbon emissions. • Cap-and-trade emissions reduction plan. • Carbon fee with proceeds recycled to the public. • Cut emissions by 40% from 2005 levels by 2025. Il ne reste plus que 17 jours avant la plus importante élection au Canada. Nous communiquerons avec vous à intervalles réguliers dans l’optique d’aborder les enjeux importants et vous faire rapport sur les prises de position des partis en ce qui concerne les travailleuses et travailleurs. Commentaire : Le Canada est le seul pays qui s’est retiré du Protocole de Kyoto et ne fait rien pour lutter contre les changements climatiques. Commentaire : Nous avons besoin d’une vision plus audacieuse. Commentaire : Les pollueurs comme les producteurs de pétrole doivent être mis en contribution en payant une taxe carbone progressive. Commentaire : Les profits dérivés d’une taxe carbone devraient être investis dans les collectivités. 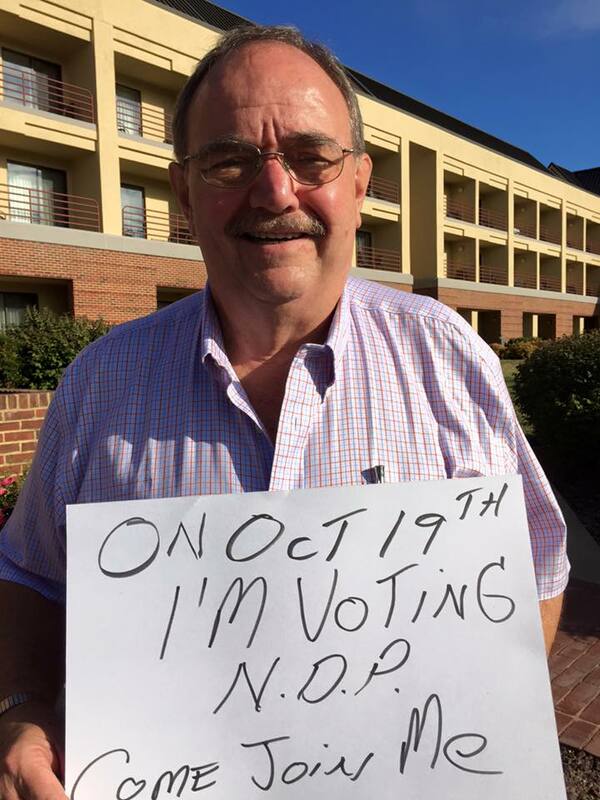 Only nineteen (19) days before the most important election in Canada. We will contact you regularly to address the important issues and give you a report on the position of the parties for workers. • Reduced corporate taxes to 15% now costing $14 billion/yr. • Increased limit on TFSA contributions to $10,000. Comment: Corporate Tax cuts and increases to TFSA limits widen racial income inequalities. • Raise income taxes for those making over $200,000 annually. Comment: Lack of commitment to $15/hour minimum wage furthers racialization of poverty. • Re-instate $15/hour federal minimum wage. • Increase Canada Pension Plan (CPP) benefits. Comment: Fair $15/hour minimum wage rate then index for inflation. • Will establish $15/hour federal minimum wage. Il ne reste plus que dix-neuf (19) jours avant la plus importante élection au Canada. Nous communiquerons avec vous à intervalles réguliers dans l’optique d’aborder les enjeux importants et vous faire rapport sur les prises de position des partis en ce qui concerne les travailleuses et travailleurs. Commentaire : La réduction de l’impôt des sociétés et la bonification du plafond de cotisation à un CELI ne font que creuser les inégalités des revenus entre les groupes raciaux. Commentaire : L’absence d’engagement d’adopter un salaire minimum de 15 $ l’heure ne fera rien pour mettre fin à la racialisation de la pauvreté. Commentaire : Un salaire minimum de 15 $ l’heure est une mesure équitable et ce taux serait indexé selon l’inflation. GVP Ritchie at the Political Action Symposium: “Shameful” that only 50% of unionized households voted. Ritchie was speaking to over 90 delegates to the 2nd annual Canadian Political Action Symposium being held this week at the William W Winpisinger Education Center in Hollywood, Maryland. Over the next several months we will be out talking to members in the workplace. With the Federal Election coming in October it is imperative that we educate ourselves with the issues that affect us all as Federally Regulated workers. We need to make an informed decision when it comes time to vote. We need your help! The PAC is reaching out to the members of Local Lodge 16 for volunteers who would like to help in getting important messages across to the membership and making a pledge to vote. Our livelihood depends on the outcome of this Federal Election. 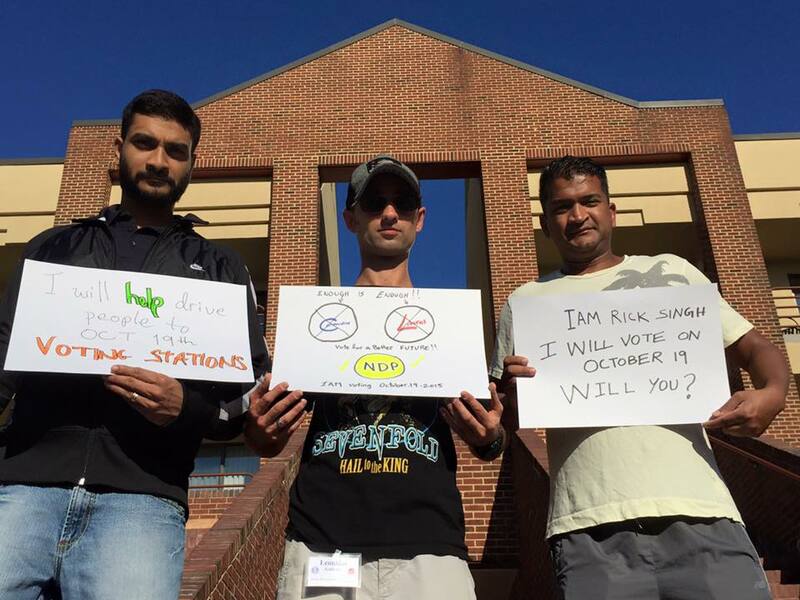 Participate in the campaign * volunteer/get engaged – take a sign, canvass, make phone calls, contribute. Vote on October 19 or at an advance poll. Why: Because Canada needs a change after 10 years of Harper Conservative rule that has given us the worse economic record since the 1930s depression. Because we need a progressive government that will work for all Canadians – for good jobs, decent pensions for all, affordable universal childcare, and a rebuilt national health care system. Because we need a government that respects and supports collective bargaining and unions – that will fight for fairness and equality. Because this is the fight of our lives – and our chance to make history. Pourquoi : Parce que le Canada a besoin de changements après près de dix ans de règne des conservateurs de Harper, qui affichent le pire dossier en matière économique depuis la dépression des années 1930. Parce que nous avons besoin d’un gouvernement progressiste qui travaillera pour tous les Canadiens : de bons emplois, des pensions décentes pour tous, des services de garde à l’enfance universels et abordables, une refonte du système national de soins de santé. Parce que nous avons besoin d’un gouvernement qui respecte et appuie la négociation collective et le mouvement syndical, d’un gouvernement qui défendra l’équité et l’égalité. Parce que nous sommes engagés dans la bataille de notre vie et avons l’occasion d’écrire une page d’histoire. Tom Mulcair will be making his first stop in Vancouver as part of the most important election campaign in a generation. After a decade of this Conservative government, you’ve been clear that it’s time for change. 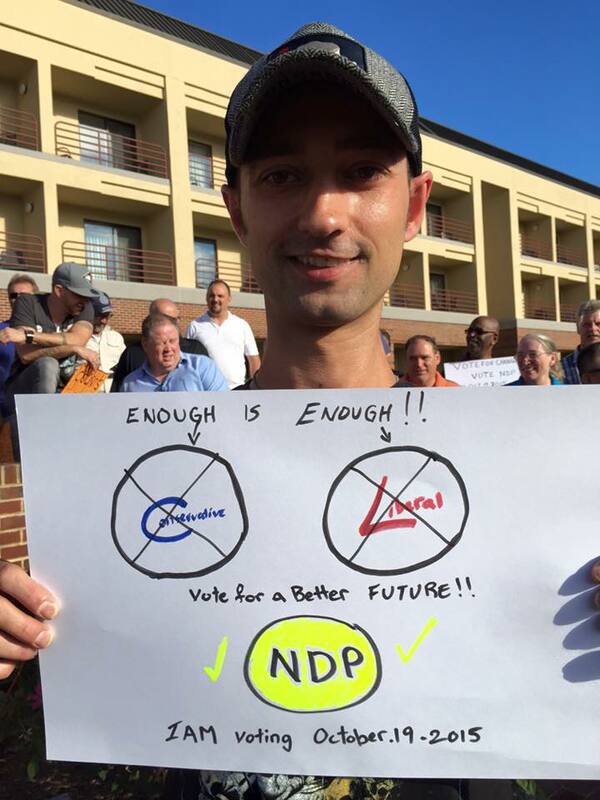 More and more Canadians are turning to Tom Mulcair to defeat Stephen Harper and bring that change to Ottawa. The choice on childcare is clear. Ten years ago, Stephen Harper promised 125,000 new spaces for our kids – but he’s failed to create a single one. This afternoon, Tom Mulcair is in Oshawa sharing his concrete plan to create a million high-quality childcare spaces – at a cost of no more than $15 a day. Today’s appeal will be short, sharp and to the point: A life may be at stake and we need you to take just a few seconds out of your day to do something about it.. Almost 10,000 of you have sent a protest message to the government of Iran over the imprisonment of Esmail Abdi, a teachers union leader. Which is wonderful: thank-you! But that means that many of you have not. You need to and soon. Just 5 years ago another teachers union leader, Farzad Kamangar, was jailed and then executed by the government of Iran. By sending messages we’re telling Iran, as well as Esmail and his family, that the world is watching. Sending your message will take just a few seconds. Just click HERE. More information on Esmail’s case and the situation faced by Iranian trade unionists generally can be heard in a RadioLabour segment from last week which you can listen to HERE. If you have a Facebook or Twitter account you can also support Esmail by joining the Thunderclap event that the Canadian Teachers Federation has created. Thunderclap allows the social media accounts of hundreds or thousands of users to post and tweet the same solidarity message at the same time, magnifying the effect of the campaign. The Thunderclap is scheduled to take place on 17 July, so you have only a few days to sign on. As with everything else we ask you to do, this takes only a few seconds. The Thunderclap sign-on page for this campaign is HERE. Help families find answers with an inquiry, take a minute to sign the petition today. Dear Walter,You have a right to know – Premier Christy Clark is still refusing to hold a public, accountable inquest into the explosions that resulted in the death of four of our members and injured 44 workers.The coroner’s inquest into the Babine Forest Products mill explosion began on Monday‎. Our Union is represented by legal counsel and we are participating in the inquest to press for changes to government regulatory practices to ensure the health and safety of workers.But we know that an inquest is not enough. The victims and families need answers. An inquest will not find fault or provide justice. That’s why we’re joining the families and nearly 11,000 British Columbians who agree – Premier Christy Clark must keep her promise of justice and closure for victims, families and forest workers through a public inquiry into the Babine and Lakeland sawmill explosions. Our records show that you haven’t signed the petition yet. This is a crucial moment for workers’ safety in British Columbia. Walter : The 24 Hours newspaper in Vancouver is polling its readers on how they feel about the call for a public inquiry. Show your support for justice by clicking here and filling out the poll. Select NO and help us show that a coroner’s inquest is not enough to provide the victims and families with the answers they need. Please also take a moment to share the online petition on Twitter and Facebook.Facebook : https://www.facebook.com/sharer/sharer.php?u=inquiry-usw.nationbuilder.comTwitter : Workers & families need answers–Sign the petition for a public inquiry into the sawmill explosions. @steelworkersca http://usw.ca/inquiryThank you. I know that the families of the victims appreciate all of your support. Le Premier ministre a utilisé sa majorité conservatrice au Sénat pour manipuler le Règlement du Sénat, clore le débat et imposer le projet de loi C‑377. « Plusieurs sénateurs ont tenté de faire leur travail et démontrer que le Sénat joue réellement un rôle de Chambre de réflexion, mais le Premier ministre semble avoir piqué une crise, s’immisçant pour manipuler le Règlement, afin de clore le débat dans le but de parvenir à ses fins », a déclaré Hassan Yussuff, président du CTC. « Cette manœuvre cynique et corrompue démontre une fois encore que les syndicats sont beaucoup plus démocratiques, transparents et responsables envers leurs membres que le sont le Premier ministre et son gouvernement envers les contribuables », a-t-il ajouté. 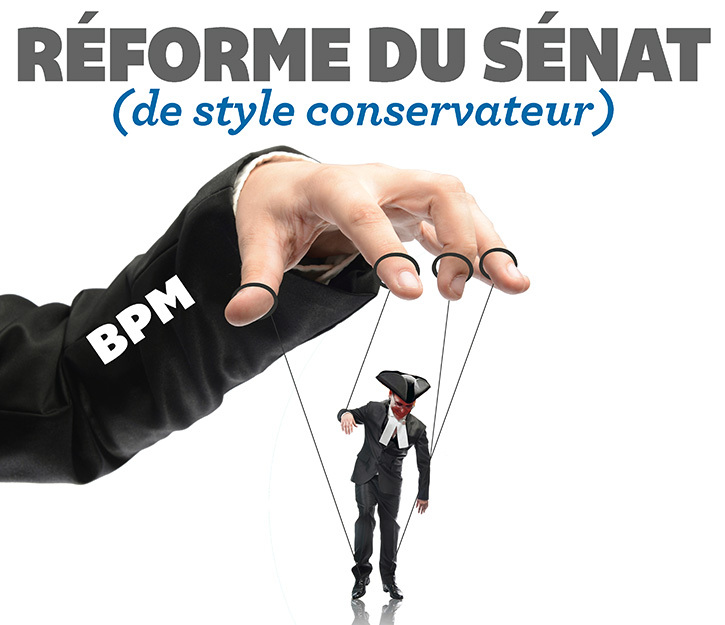 Les conservateurs ont essayé de maquiller le projet de loi C‑377 en mesure sur la transparence syndicale, mais des experts de tous les domaines sont d’avis qu’il s’agit réellement d’une question de bureaucratie visant à forcer les syndicats, leurs fournisseurs et d’autres entreprises avec lesquelles ils travaillent à dépenser des millions de dollars et à consacrer des milliers d’heures à produire et traiter des rapports de dépenses qui seront vérifiés et classés aux frais des contribuables. 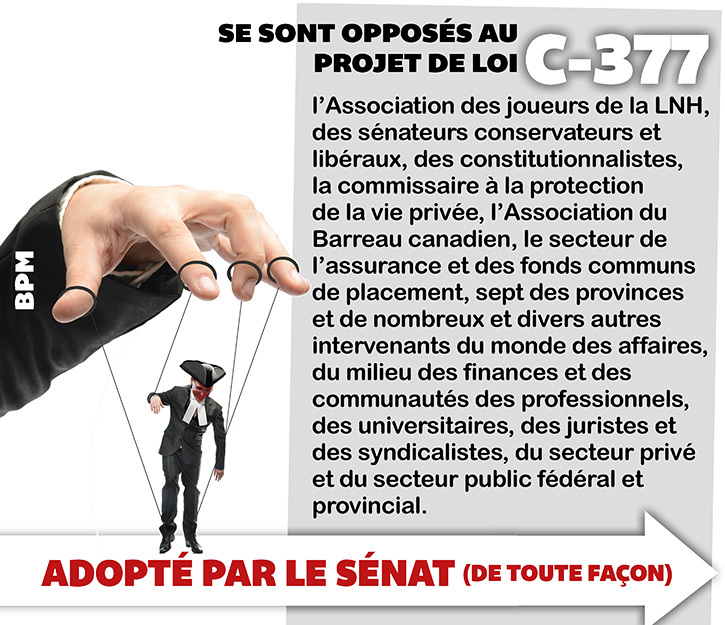 Se sont opposés au projet de loi C‑377 l’Association des joueurs de la LNH, des sénateurs conservateurs et libéraux, des constitutionnalistes, la commissaire à la protection de la vie privée, l’Association du Barreau canadien, le secteur de l’assurance et des fonds communs de placement, sept des provinces et de nombreux et divers autres intervenants du monde des affaires, du milieu des finances et des communautés des professionnels, des universitaires, des juristes et des syndicalistes, du secteur privé et du secteur public fédéral et provincial. Yussuff a remercié la minorité de sénateurs qui ont écouté les experts, ont maintenu leur position et se sont opposés au projet de loi. Please take the time to read this article from the Vancouver Sun. 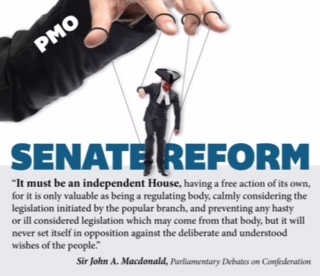 https://shar.es/1qc30V It would be helpful if we all took a few minutes to contact the Senators in our area to express our displeasure of how the Conservatives are handling Bill C-377 in the Senate. Special tribute event to celebrate the outstanding political career of our friend Libby Davies and help to ensure her legacy continues. WHEN: 6 PM, Sunday, July 26th WHERE: Pink Pearl, 1132 East Hastings Limited VIP Tickets: $200 (To be seated at Libby, Joy’s or my table); $500 (To be seated at Stephen’s table) Regular Tickets: $100 As you know, after more than 40 years in elected office, and almost 20 years as Member of Parliament for Vancouver East, Libby Davies will not be seeking re-election in October. Vancouver East is unique riding and plays an important role in the national stage and I am very honoured to be chosen as the NDP Vancouver East Candidate. East Van residents and all Canadians owe Libby a huge debt of gratitude. Libby has worked relentlessly for our community and gave voice to thousands of people in our community over the last 40 years. She has never feared controversy when lives were at stake, whether it be taking tough positions in supporting marginalized Canadians or taking up the cause of oppressed peoples around the world. There is no question that her dedicated service and hard work has touched the lives of many. To honour Libby and help me become the next MP for Van East, we will be joined by Joy MacPhail, former Leader of the BC NDP and Stephen Lewis, the former Ontario NDP leader, United Nations ambassador and life long human rights advocate on this unforgettable evening. Please come and help me thank Libby for her remarkable 40 years of service and help elect Tom Mulcair as the next Prime Minister of Canada. C-377 came up for its first third reading debate today. 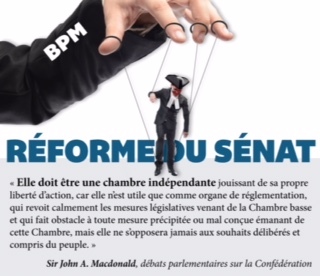 Somewhat unexpectedly, Senator Bellemare (C – Quebec) raised a point of order on several items including the need for a royal recommendation (as any bill that incurs costs requires) and some issues with regard to the true nature of the bill (Labour rights vs. Income tax). Opposition Senators supported her request for a Speaker’s ruling and the speaker adjourned debate on the bill while he looks into the issues. The bill is now expected back in the Senate on Tuesday. http://www.youtube.com/watch?v=oFpmlD67ps0&sns=em Le projet de loi C-377 est retourné pour son premier débat en troisième lecture aujourd’hui. De manière inattendue, la sénatrice Bellemare (C – Québec) a soulevé un point d’ordre sur plusieurs points, y compris la nécessité d’une recommandation royale (comme pour tout projet de loi qui engage des coûts) et différentes questions quant à la véritable nature du projet de loi (droits du travail vs . impôt sur le revenu). Les sénateurs et sénatrices de l’opposition ont appuyé sa demande d’une décision du président. Le président a ajourné le débat le temps d’examiner ces questions. Le projet de loi devraitde nouveau retourner au Sénat mardi prochain. 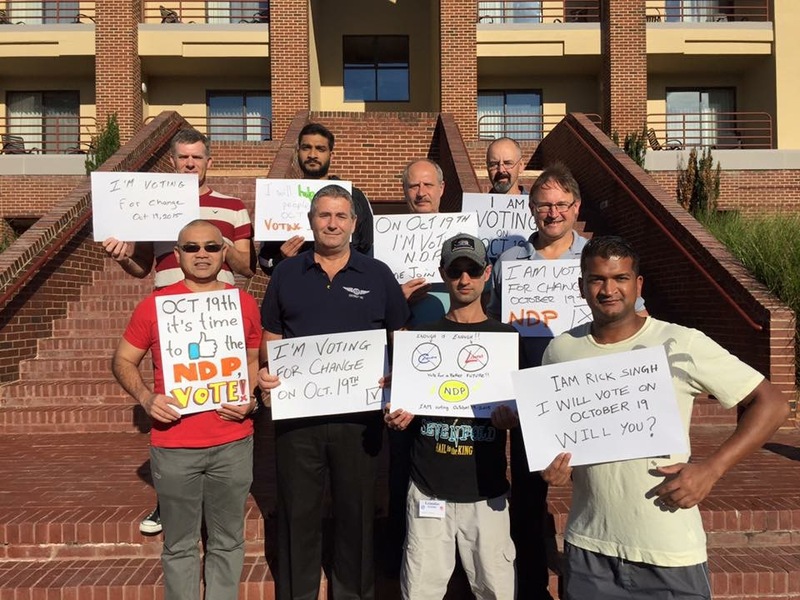 Tell the Feds to Help Save Air Transport Jobs! Let’s send the message to Walmart that low pay is not ok! We will be at the Walmart at 3585 Grandview Hwy at noon on May 15th to distribute leaflets and petitions Please find attached flyer for a May 15th event on our Campaign for “Fight for $15”. There will be leafletting and petition signing at WalMart on 3585 Grandview Hwy., Vancouver, BC – noon – 1:00 pm. On April 15th, we joined thousands of workers around the world protesting for a fair minimum wage. In BC, there were events at six McDonald’s locations in the Lower Mainland as well as events in Victoria, New Westminster and Penticton. From Vancouver to Tokyo workers sent the message that low pay is not ok. The energy is growing, and public support is high. People get it – if you work full-time you shouldn’t be left in poverty. We are excited to announce that our next Fight for $15 event will be on May 1st in Vancouver. This year’s May Day March and Rally will have a Fight for $15 theme. 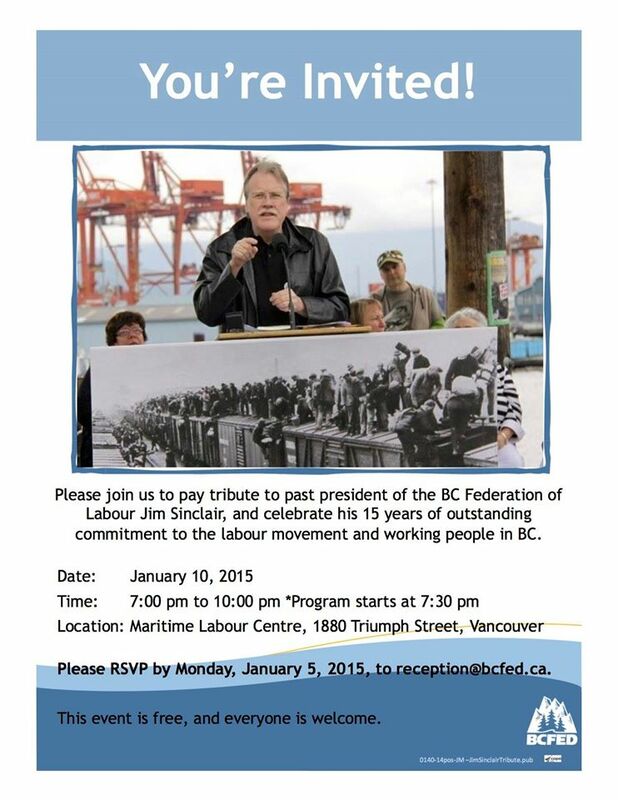 The event is co-sponsored by the BCFED and the Vancouver and District Labour Council. After the rally join us at Wise Hall for music and refreshments. The first 50 low-wage workers will get in for free. Others who bring a sticker from the rally will get $2 off at the door. For more information and to RSVP visit our Facebook Event. Also, if you are in the South Okanagan, there will be a minimum wage panel discussion in Penticton on May 1st, featuring Aaron Ekman, Secretary Treasurer of the BC Federation of Labour. The event is hosted by the South Okanagan Boundary Labour Council. For more information visit their website. Let’s build an economy that works for everyone. We look forward to seeing you at one of our upcoming events. BCFED http://www.fightfor15bc.ca/ On May 1st workers around the world will be celebrating the struggle for workers’ rights. This year, the Vancouver May Day Rally will have a focus on the Fight for $15 and call on the BC Liberal Government to make a real increase to the minimum wage. Meet up at Clark Park between 5 and 5:30pm. We will march together to Grandview Park for a rally. Make it an evening. After the rally head over to the Wise Hall for music and refreshments. A food cart will be available for dinner. Upstairs join us for live music starting at 8:30pm. Tickets are $10 for general admission, $8 with a sticker from the rally and the first 50 low wage workers get in free! This event is co-sponsored by the Vancouver District Labour Council and the BC Federation of Labour. See you there! Time for a New Normal: Women in Canada Need Child Care It’s International Women’s Day, a time to celebrate women’s achievements and also to reflect on the barriers to equality that remain in place. Removing one of those barriers—the struggle to access quality child care—could be just one election away. Everyone benefits when parents can go to work knowing that their children are safe and well cared for. Parents benefit because they can take on better jobs and balance work and family responsibilities. Kids benefit because they have a safe place to learn, grow and play. The economic benefits of child care are well-established, or as the TD Bank stated, “Unquestionable”. According to their report, “Ultimately, investment in early education can help to address core economic and social challenges facing Canada. It can help reduce poverty, address skills shortages, and improve productivity and innovation, and a host of other national priorities”. Child care is a necessary ingredient to helping make women available for work, education and training. We have seen the success of Quebec’s child care system, which saw substantial increases in women’s participation in paid work as well as a reduction in poverty rates. And Quebec has also shown us that money spent on child care pays for itself in increased tax revenue and other socio-economic benefits. But even though it’s normal for moms to work outside the home (70% of mothers with kids under 6 do), good child care in Canada is hard to find, and even harder to afford. Over the last two years, Canada’s labour movement has been talking to our members about their experiences finding, juggling and paying for child care. We have heard some incredible stories, ranging from the absurd to the tragic. Like the postal worker, a new Canadian who couldn’t find child care she could afford and had to send her children back to Nigeria to be cared for by her parents until they were old enough to go to school. Or the lone-parenting mom who relies on the school bus commute as after-school care because she can’t afford the fees, and races at the end of the day to meet the bus. Often when people talk about child care, they use words like “luck”, as in “I was lucky to get in” or “I feel like I won the lottery, getting this space”. Surviving the child care years has become a normal part of family life. It’s something parents are all expected to endure. We need a new normal. Getting safe, affordable, quality child care should not be a matter of luck. It should be a matter of course. In 1984, the Royal Commission on Equality in Employment, headed by the current Supreme Court Justice Rosalie Abella, said that, “child care is the ramp that provides equal access to the workforce for mothers”. Why hasn’t government policy and support for child care kept pace with working women? During the second world war, the federal government showed leadership by striking agreements with the provinces to establish day nurseries in areas where mothers “live, not where they work”. The facilities provided healthy meals, qualified staff and aimed to “inculcate ideals such as independence, cooperation and responsibility [using the] latest methods in child psychology to achieve this end”. Unfortunately this support ended once the war was over. The Royal Commission on the Status of Women (1970) was the first to propose a national child care program. Since then there have been three major attempts by federal governments to develop a national child care strategy, countless studies, reports, several national conferences over three decades (most recently this past November), all devoted to examining child care as a public good and recommending federal leadership to work with the provinces to make it happen. That’s a lot of time. Generations of children, generations of parents, all kept waiting for real options that would help working parents balance work and family life. Women’s careers have changed over the decades. Workplaces have changed. But our child care system has not kept pace. It’s time for change. We need a government that will commit to financing and to working with the provinces and territories to establish a real, universal child care system. One that will ensure new spaces really do open up, and one that addresses sky high fees. What we don’t need is more of the same plan that keeps taking us back in time, rewarding high-income families where one parent stays at home with tax breaks, while offering taxable handouts to everyone else (money that does not even remotely approach the cost of child care… if you can find it). Canada’s labour movement has made many gains for working women—gains we celebrate on International Women’s Day. From maternity and parental leave to public pensions, from equal pay to workplace safety legislation, unions have led the way for better, fairer workplaces for all women in Canada. Now the labour movement is calling for a national child care system so all parents can count on quality child care when they return to work. And, that national child care system could be just one election away. Help us get there. Together with child care advocates, Canada’s labour movement will be part of a week of action from May 10 to 17, 2015; a week when we will celebrate child care as a public good and call for a system that will provide all families with high quality care at a fee every family can afford. Join us. Because a new normal for working women and their families could be just one election away. We are calling on Canadians to protest Bill C-51 on March 14, 2015 in cities across the country.The proposed legislation Bill C-51 should be of concern to all Canadians. It would clearly allow for the violation of Charter Rights, and creates a secret police force with little oversight or accountability.We are demanding the government withdraw the legislation. Join the Broken Heart Rally Feb 15th! 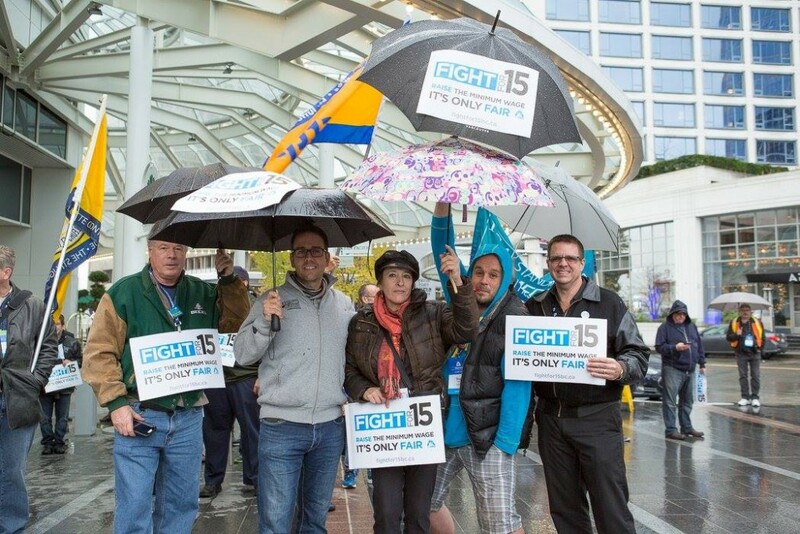 Join us at this month’s Fight for $15 event in Vancouver! Groups like the Canadian Federation of Independent Business have denounced the benefits of raising BC’s minimum wage to $15, but a fair wage is what’s really needed!Meet up at noon at the CFIB office to leave a day after Valentine’s message. Bring a home-made broken heart Valentine and let the CFIB know what it is really like for those living on minimum wage in BC.There will be speakers including low-wage workers and campaign endorsers. After the short rally, participants will disperse downtown to distribute flyers and collect petition signatures. This event is being hosted by BC Acorn. Delta Airlines fired Kip Hedges, a baggage handler for 26 years, simply for supporting a $15/hour minimum wage at the Minneapolis-St. Paul (MSP) Airport. Delta targeted Kip because he leads 15 Now’s workplace campaign at MSP to win $15/hour. Please show your solidarity in three simple ways: 1. Sign the Petition to Demand Delta Re-hire Kip Hedges 2. Donate to 15 Now today to help fund the fight to defend Kip Hedges and his struggle for $15/hour and union rights at MSP 3. Help spread the word by sharing this meme on the 15 Now Minnesota Facebook page. Background: Delta management told Kip he was being fired for “disparaging remarks” made in a video posted on the 15 Now Minnesota Facebook page. Anyone who watches the video, linked below, will be outraged. All Kip said was: “A lot of Delta workers make under $15/hour… a lot of the better paid workers also understand that the bottom has to be raised otherwise the top is going to fall as well.” Watch the video, originally posted on Workday Minnesota. (Kip speaks at 1:38) Kip was fired Tuesday, December 2nd, and on the following Friday over 250 workers and community supporters rallied to demand Delta re-hire Kip and to demand “$15 and a Union.” Organized by 15 Now, SEIU, IAM and other unions, protesters blocked traffic into MSP after hearing rousing speeches from workers and community supporters, including Congressman Keith Ellison who ended his speech saying “Shame on Delta” and leading a chant for “15 Now, 15 Now.” The airport action was a top new story in all major TV and print media. Check out the media round-up here. The timing of Kip’s termination on December 2nd is no accident. It came in the midst of a national week of action for “$15 and a Union,” and just as three different union drives at Delta, and their subcontractor AirServ, kick into high gear with a demonstration at MSP Airport on December 5th. Delta thinks firing Kip, a leading 15 Now and union activist, will silence other airport workers from standing up for their rights. They couldn’t be more wrong. With your support, and the mobilization of the wider labor movement, Delta’s blatantly illegal and unjust actions will only deepen workers’ resolve to fight for $15/hour and union rights. We call on Delta and the Metropolitan Airport Commission, which governs operations at MSP Airport, to immediately reinstate Kip Hedges and to make clear that these intimidation tactics will not continue. We stand in solidarity with Kip and with all workers fighting for $15 and a union! Show your solidarity. Sign the petition, make a donation, and help spread the word on social media! Join us at Metrotown where we will be handing out campaign information to holiday shoppers. Metrotown is full of workers who earn only the minimum wage. Let’s encourage holiday shoppers to join our campaign and help get these workers a raise. Meet at the entrance to the Cineplex Odeon theatres on the Kingsway side of the mall. It is time to increase the minimum wage and address income inequality in BC. At $10.25/hr BC’s minimum wage is one of the lowest in Canada. As the cost of living continues to go up, workers earning minimum wage cannot make ends meet. BC’s minimum wage leaves full-time workers living below the poverty line. The BC Federation of Labour believes that work should lift you out of poverty. It’s time for the BC government to increase the minimum wage so that nobody is left behind. Help us fight for $15/hr. It’s only fair! If you’ve watched television at all over the past week, you have likely seen the latest FAIRNESS WORKS ads. We are already hearing good things about them. But television isn’t the only place Canadians will have a chance to see how the labour movement is working for a fairer future. By now, the FAIRNESS WORKS message is on full display in transit shelters and stations in Vancouver, Montreal and Toronto. Here’s a list of where you can see the ads (they’re beautiful – Vancouver, Toronto, Montreal) – search them out, take a picture of them and share them with your friends while you can. They will start to come down after December 21. In those same cities, we’ve already appeared in a feature edition of Metro on November 24, focused on how the labour movement is working to create and protect good jobs. Future editions of Metro will focus on child care (December 3), health care (December 10) and retirement security (December 17). Watch for them. Share the online version with your social networks. We’re not stopping there – ads are also popping up online on YouTube, Buzzfeed, WeTransfer, Yahoo, Today’s Parent and Chatelaine. And we’re topping off the promotion with a series of articles across the Post Media network from November 27 through December 22). Over the coming weeks, FAIRNESS WORKS will be hard to miss. Let’s work together to share this great message with as many people as possible. POLITICAL ACTION – Le Congrès du travail du Canada – C’est bon être juste! syndical s’efforce d’assurer un avenir plus juste à tous les Canadiens et les Canadiennes. Le message C’EST BON D’ÊTRE JUSTE est maintenant bien en vue dans les abribus et les stations de métro de Vancouver, Montréal et Toronto. Voici la liste des endroits où vous pouvez voir les annonces (Vancouver, Toronto, Montréal) (elles sont magnifiques) – recherchez-les, prenez-les en photo et partagez-les avec vos amis autant que vous le pouvez. Elles disparaîtront ensuite progressivement à partir du 21 décembre. Une édition spéciale de Métro parue le 24 novembre dans ces villes a été consacrée au mouvement syndical qui œuvre afin de créer de bons emplois et les protéger. Les prochaines éditions du journal Métro seront consacrées à la garde d’enfants (3 décembre), aux soins de santé (10 décembre) et à la sécurité des retraites (17 décembre). Surveillez leur sortie. Partagez la version en ligne avec vos réseaux sociaux. Mais ce n’est pas tout – les annonces sont également diffusées en ligne sur YouTube, Buzzfeed, WeTransfer, Yahoo, Today’s Parent et Chatelaine. Et nous couronnons la promotion avec une série d’articles publiés dans les quotidiens du réseau PostMedia du 27 novembre au 22 décembre. Il sera difficile de ne pas remarquer C’EST BON D’ÊTRE JUSTE au cours des prochaines semaines. Travaillons ensemble pour partager ce formidable message avec le plus grand nombre possible de personnes. On December 6, 2013, the Canadian Labour Congress with Western University launched a groundbreaking national survey on the impact of domestic violence in the workplace. 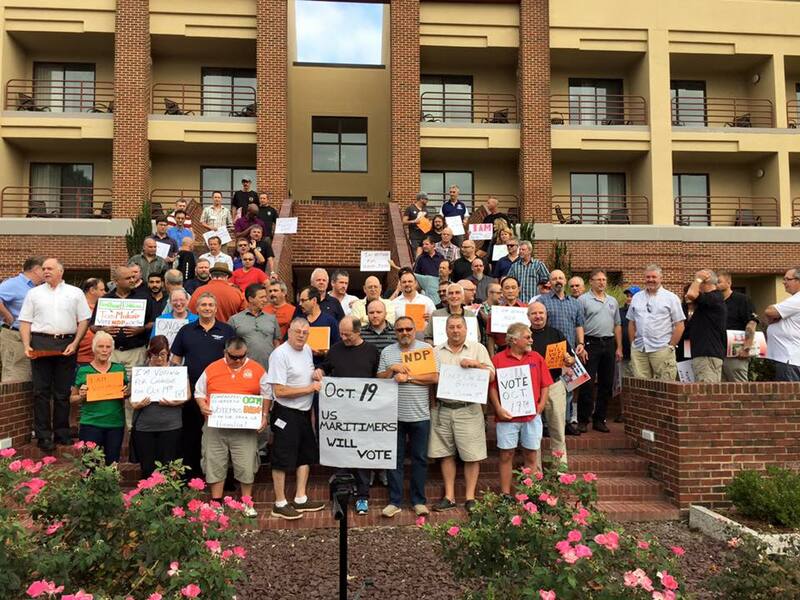 The response was overwhelming – 8429 workers participated, from all regions of the country. We asked them who had experienced domestic violence, how it impacted their work and their co-workers, whether they had discussed it with anyone at work and what types of support they may have received. The survey results are a wake-up call and we can’t wait to share what we have learned. It’s time to talk. 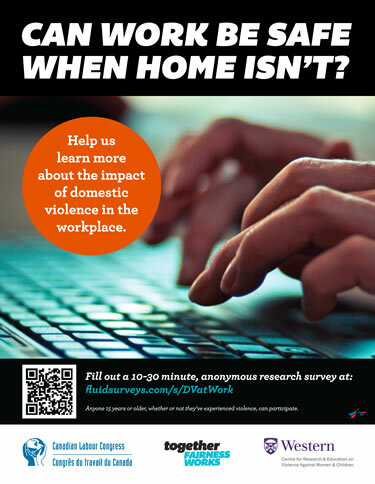 This survey is the start of a conversation, one that needs to involve unions, employers and governments, about how we can make sure that people who experience domestic violence can feel safe on the job, and feel supported by their union and employer. Watch our video and learn more about the powerful results of this important study. Over the next four weeks, the next round of FAIRNESS WORKS ads will go to air in every region of the country, hit the streets of four major urban centres and pop-up on people’s computer screens and devices. Watch for them! You can watch the new television ads on our youtube channel.These new ads focus on issues the labour movement is working to advance for the benefit of all Canadians – good jobs, child care, health care, retirement security and equality.The television ads will run on major networks from November 24 through December 22. Transit advertising at train and subway stations and bus stops will start to appear in Toronto, Montreal and Vancouver starting November 24.We know you’ll want to share these ads with your members. The pride in union membership and solidarity with the labour movement we experienced over our previous two campaigns was more than we bargained for. So help us spread the word – that the labour movement is working for a fairer future for all Canadians.  Almost 70% of Canadian mothers with children under 5 are working, but there are only regulated, quality spaces for about 20% of those children.  Even when spaces are available, families are forced to pay $40-$60 per day or more – making the cost of good care a problem for low and middle-income families.  The Harper Government’s “Universal Child Care Benefit” has cost over $2 billion a year without making child care more accessible or affordable.  Available, affordable and high quality child care is essential to our children’s future. It provides major economic benefits, particularly helping low and middle-income families. It will pay for itself, in both the short and the long-run, by boosting to employment and incomes.  Quebec has shown that it can be done, with its $7 a day child care program. Quoi : Thomas Mulcair et le NPD fédéral ont proposé un programme national pour fournir aux parents canadiens des services de garde d’enfants de qualité à un coût plafonné à 15 $ par journée.  Près de 70 % des mères canadiennes d’enfants de moins de 5 ans travaillent, mais à peine environ 20 % de ces enfants ont une place en milieu de garde règlementé.  Même lorsque des places sont disponibles, certaines familles sont forcées de payer de 40 $ à 60 $ par jour ou plus encore – ce qui rend le coût de bons services de garde problématique pour les familles à faible revenu et à revenu moyen.  La « Prestation universelle pour la garde d’enfants » du gouvernement Harper coûte plus de 2 milliards de dollars par année sans pour autant rendre la garde d’enfance plus accessible ou abordable.  L’avenir de nos enfants passe par des services de garde accessibles, abordables et de grande qualité. De tels services ont d’importantes retombées économiques, particulièrement pour les familles à faible revenu et à revenu moyen. Les coûts seront vite récupérés, à court et à long termes, par une augmentation de l’emploi et des revenus.  Le Québec, qui offre un programme de garderies à 7 $ par jour, a démontré que c’est possible de le faire. Où : Dans nos milieux de travail et nos collectivités, nous devons sensibiliser nos collègues de travail, nos amis et nos voisins aux raisons pour lesquelles nous devons élire un gouvernement néo-démocrate qui permettra à tous les Canadiens de bénéficier de services de garde d’enfants abordables et de qualité. Quand : Entre maintenant et l’élection fédérale en 2015. This year marks the 25th anniversary of the 1989 École Polytechnique murders, when fourteen young women lost their lives. Every year, we take this day to reflect on the prevalence of violence against women in our society, and to commit to taking concrete action in order to end violence against women and girls. In addition to highlighting the 25th anniversary of these murders, the Canadian Labour Congress is encouraging affiliates, federations of labour and labour councils to join us in affirming the labour movement’s commitment to ending violence against women by profiling the results of our Domestic Violence in the Workplace survey and by reinforcing calls for a National Inquiry on Missing and Murdered Indigenous Women and a National Action Plan on Violence against Women. Further details on our plans to release the results of our groundbreaking national survey on the impact of domestic violence on workers and workplaces will be forthcoming. With over 7000 responses, we are confident the survey results will help us win real results at the bargaining table and in legislatures. Today, we are encouraging you to support the YWCA’s Rose Campaign as part of your December 6 activities this year, and in particular, to participate in their Light the Night Against Violence action on December 6. On this night, they are encouraging organizations and communities to light buildings, monuments and landmarks to help support the call for an end to violence against women. So far, the campaign has secured the lighting of the CN Tower in Toronto and the Langevin Bridge in Calgary in red, the Rose campaign colour. Ottawa’s Coalition to End Violence Against Women (OCTEVAW) plans to light up its city in purple. Any light against violence is welcome. Further details about the Rose Campaign and order forms for their postcards, buttons and other material are available on the website by clicking here. We would also like to let you know about a youth-oriented social media campaign by our partners the Coalition for Gun Control, called Generation Action. Young people can use the hashtag #DemandControl to send out messages for better gun control and to end violence against women and girls.Please encourage your members to visit http://www.generation-action.com/ to upload pictures or messages. For more information on the CLC’s plans for December 6, the National Survey on the Impact of Domestic Violence at Work, or to register your participation in the Light the Night challenge, please contact Rashida Collins at rcollins@clc-ctc.ca. This year marks the 9th annual Sisters In Spirit (SIS) vigils, which are held to raise awareness and demand action for missing and murdered First Nations, Inuit and Métis women and girls. The Canadian Labour Congress, affiliates and federations of labour have been longtime supporters of the campaign. Vigils are being organized throughout communities across the country on October 4th, 2014, including one on Parliament Hill. Vigils, rallies and social media events are held to raise awareness and demand action for missing and murdered Indigenous women and girls. The vigils also commemorate the women, girls, communities and families affected by this crisis by honouring their lives. In 2013, there were 216 vigils held across the country and internationally. We encourage affiliates, federations of labour and labour councils to contact the Native Women’s Association of Canada in order to participate in local vigils and to support the ongoing campaign for a national inquiry into missing and murdered Indigenous women and girls in Canada. Sisters In Spirit documented almost 600 deaths and disappearances of Indigenous women and girls before their funding was cut by the Harper government in 2010. Since the current Conservative government has failed to address or acknowledge the disproportionate number of deaths and disappearances, a coalition of community members called No More Silence has begun compiling data on a new database. This new database documents violent deaths of Indigenous women/ Two-Spirit and Trans in collaboration with Families of Sisters In Spirit, The Native Youth Sexual Health Network and the Well Living House at the Keenan Research Centre. http://www.canadianlabour.ca/action-center/justice-canadas-aboriginalwomen-and-girls.Member of Parliament Niki Ashton, New Democratic Party (NDP), is tabling M-444, a Private Member’s Motion, which calls on the government to urgently establish a National Action Plan to address Violence against Women that includes the issues documented by NWAC, the RCMP and the various civil society groups. To read more about the motion and sign the NDP’s petition visit: http://nikiashton.ndp.ca/m-444. The CLC looks forward to hearing about your support! NDP leader John Horgan has reassigned many of his critics to new portfolios By Vaughn Palmer, Vancouver Sun columnist July 23, 2014 VICTORIA — For the past eight years, John Horgan has been the New Democratic Party’s go-to guy on the energy file, taking on successive B.C. Liberal government ministers over BC Hydro rate hikes, private power deals and myriad cost overruns. Though the NDP critic on liquefied natural gas development has lately been MLA Robin Austin, from long experience and force of personality Horgan was still doing most of the talking on that file even as he assumed the party leadership. The closing days of the recent legislature session saw the newly selected Opposition leader do a farewell turn as energy critic, drawing a rare compliment from the government side. “There’s nobody over there who’s going to be able to fill his shoes in terms of being the energy critic and I look forward to that,” said Energy Minister Bill Bennett. Right you were minister. This week saw Horgan shuffling the lineup of critics he inherited on assuming the party leadership, and he’s determined that no one person will be taking over the energy portfolio. Norm Macdonald is the new critic for energy and mines. Bruce Ralston takes on natural gas from the aforementioned Austin. The new critic for BC Hydro is Horgan’s predecessor in the leadership, Adrian Dix. The latter appointment should generate at least a ripple of trepidation on the government side. Dix is readily one of the hardest working, most intensely focused members in the house. On the rebound from stinging defeat in the election and given exclusive responsibility for that one target-rich domain, I have to think he’ll soon be making life miserable at the giant electrical utility. While Horgan was splitting up the energy assignments, he loaded up MLA David Eby with eight specified critic responsibilities: Tourism, housing and liquor policy, B.C. Housing, B.C. Lottery Corporation, B.C. Pavilion Corporation, Destination B.C. and the Liquor Distribution Branch. Some overlap there on the twin vices of booze and gambling. Still, the top-heavy list of assignments acknowledged the rapid rise in NDP ranks of Eby, who defeated Premier Christy Clark in Vancouver-Point Grey last year. The rookie MLA scored a major hit earlier this year when he exposed how cabinet minister Amrik Virk had flouted compensation disclosure guidelines during an earlier stint on the board of Kwantlen Polytechnic University. It probably didn’t hurt Eby’s stock with the leader that he started the year by abandoning his own bid for the party leadership and instead co-chaired the Horgan campaign. The other noteworthy move Wednesday saw Horgan split the shadow cabinet into two teams. 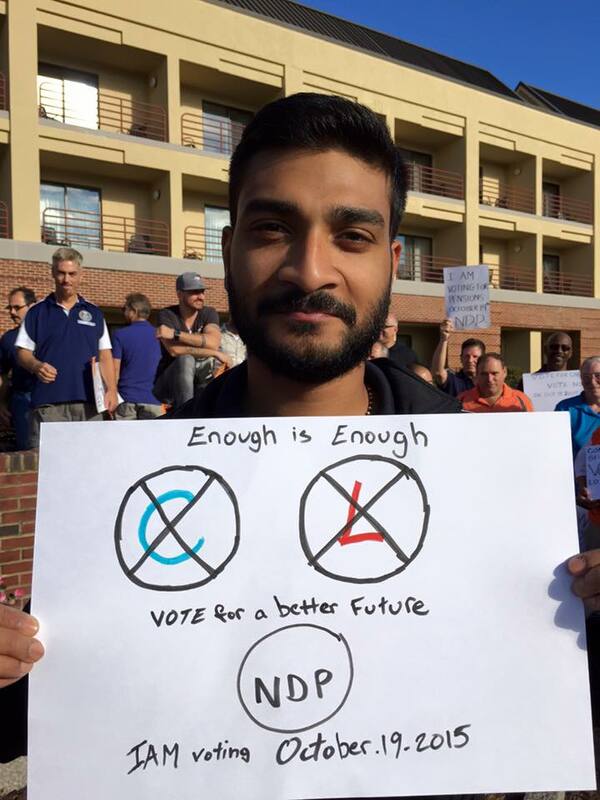 One, dubbed “stronger communities,” combines the major social portfolios that have long been the mainstays of NDP policy-making and its base of electoral support. Seeing little need for change in that traditional territory, Horgan for the most part stuck with the lineup of critics he inherited: Judy Darcy on health, Spencer Chandra Herbert on environment, Rob Fleming on education, Leonard Krog on justice, Michelle Mungall on social development. The other team, “economic sectors,” figured more prominently in his thinking, notwithstanding the uninspiring choice of names. For as Horgan himself says, his No. 1 priority is to wrest the economic initiative away from the Liberals and identify the New Democrats more closely with growth and job creation. Apart from the aforementioned trio on the energy file, the key appointment to the A-team was former leader Carole James as finance critic. She replaces Mike Farnworth, who never really found his footing in the portfolio. The well-liked MLA (on both sides of the house) becomes critic for public safety, police and corrections. He remains Opposition house leader, the post to which Horgan restored him earlier this summer. Other members of the economic team include forests critic Harry Bains and Shane Simpson on jobs and development. George Heyman retains responsibility for the green economy and TransLink — another gift that keeps on giving to Opposition critics. The new occupant in the agriculture portfolio, Lana Popham, should also be fishing where the fish are to be found. It’ll be her job to suss out the consequences of the government’s recent tampering with the agricultural land reserve. Horgan took a leaf from Premier Christy Clark, issuing mandate letters to his critics as she has done for her ministers. “I expect you to spend the period leading to the fall legislative session reaching out to and meeting with individuals, businesses and organizations in your portfolio area,” he wrote to all of them. “Please ensure you have an early meeting with your team, develop a work plan for the period leading up to the (session) and implement that work plan. During the coming months, you will be scheduled to report to (your) team on your work.” After a year of mostly leaderless drift, it would appear that Horgan intends to bring the Opposition back to a focused footing by fall. This just in from the Ministry of Health, in response to my questions earlier in the week about that two-year-old ministry-sought RCMP investigation of various drug researchers and staffers. “It would not be appropriate for the ministry to comment on personnel matters … Questions about RCMP investigations should be directed to them.” The stonewall remains intact. Today’s announcement regarding the Temporary Foreign Worker program is the latest rescue missionfor a program that is deeply flawed and needs to be replaced, not saved. It’s time to put the focus on long-term solutions for meeting Canada’s skilled labour needs and phase out the parts of this program that are being abused – in particular the low-skills, low-wage part of the program. What Minister Kenney did today was save the low-skills TFW program for employers who’ve become addicted to the low-wage temporary workers. Rationing the number of applications and raising fees is no deterrent for employers hooked on cheap labour – some of which are among the country’s largest and most profitable businesses including Tim Horton’s and McDonald’s. Patching over the program again and again with more red tape, as the Minister has done a number of times in recent years, isn’t the answer either. Replacing it with a program that invests in homegrown skills to permanently deal with labour shortages and one that offers fairness to skilled workers from abroad by welcoming them into Canada with an opportunity to stay is the solution that works best. Telling Canadians they come first in the job market (repeatedly) is the height of Orwellian sloganeering when Canada’s expenditures on workplace training are among the lowest in the industrialized world and employer investment in training has fallen by 40% over a generation. Add to this the sad fact that only 19% of skilled trades employers train apprentices, and only half of all apprentices currently complete their training and the problem is laid bare. Building a highly skilled workforce is central to our country to confront the economic challenges it faces today and will face in the years ahead. The time for cheap, temporary fixes to accommodate employers unwilling to train and invest in homegrown skills is over. All that’s missing is strong leadership and serious investment from the federal government. We didn’t see that today. Who:The Harper Conservative federal government What:Have introduced changes to the federal labour code to reduce health and safety protection for workers in the federal jurisdiction, including federal crown corporations. For our union this means mainly airline and airport workers. These changes were introduced as part of an “omnibus” bill (C-4) with hundreds of unrelated provisions to other Acts, so that it would pass with little or no public scrutiny. C-4 narrows the definition of “danger” in the Canada Labour Code to make it harder for workers to refuse to work in proximity to toxic chemicals or radiation, particularly when it will cause chronic conditions or damage the reproductive system. It gets rid of government health and safety officers, and gives the federal Labour Minister final say on whether to even investigate an unsafe workplace. Why:Even though no credible stakeholders called for these changes, the Harper Conservatives are doing favours for the bosses who they represent, by weakening workers’ right to refuse unsafe working conditions. Where: At the ballot box. When: In 2015, at the next federal election, we need to elect a Canadian government that will reverse these unfair changes, and work to make our workplaces safer. Over 100,000 Canadians have joined forces with the Canadian Federation of Students, Leadnow, and the Council of Canadians to raise the alarm about voter suppression in Canada. as well as other areas of public policy. Why: Unions are the strongest voices for Canadian workers and their families. 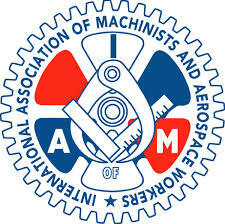 The IAM and other unions need to stand up against the power of corporate greed and its captive politicians. When: We need to continue to engage our members and their families now. 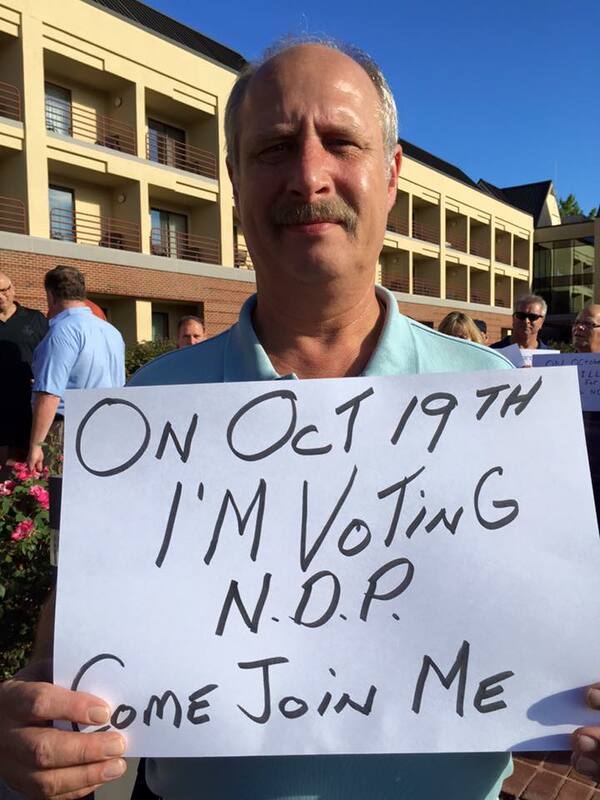 Canadian union members are facing the fight of their lives in provincial and federal elections over the next eighteen months. Working people need to be informed, involved and active. 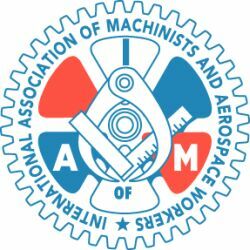 The International Association of Machinists and Aerospace Workers has been granted the right to intervene in the upcoming Supreme Court of Canada hearing into Saskatchewan’s Bills 5 and 6. These Bills, passed by the Saskatchewan Party (formerly the Conservative Party) provincial government in 2008, which gave the government the unilateral right to declare any or all of its employees essential and take away their right freely collective bargain and to strike. The Saskatchewan Federation of Labour and over 20 other Saskatchewan unions have appealed these Bills to the Supreme Court of Canada, which should hear the case this year. As an intervenor, the IAM will be able to present arguments against unfair government interference in collective bargaining. The IAM is currently challenging in the Federal Court the Harper Conservatives’ Bill C-33 of March, 2012, which took away the IAM members’ right to strike at Air Canada, and imposed a settlement based on the employer’s last offer. The Supreme Court ruling on the Saskatchewan Bills will undoubtedly affect the outcome of the IAM’s case on Bill C-33. The Saskatchewan Bills are part of a trend across Canada of governments legislating against free collective bargaining, and will likely serve as a “test case” for the Supreme Court to clearly lay out how the Canadian Constitution and Charter of Rights protect workers’ right to freely collectively bargain and strike if necessary. Bill C-33 and the Saskatchewan legislation have already been condemned by the International Labour Organization as breaches of ILO Conventions and Canada’s international legal obligations. The Canadian Labour Congress is offering a series of training events for labour leaders and members.Saturday, March 29, 2014 NOTE: to attend both sessions, you must register for each event separately. Leaders Seminar 9:00 a.m. to 12:00 p.m. The Leaders Seminar will introduce the goals and strategies for building greater member engagement, provide information and approaches for initiating activities related to this project or other campaigns and activities. 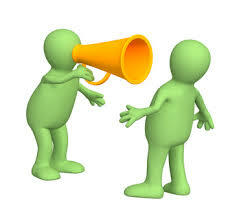 Member Engager Workshop 1:00 p.m. to 4:00 p.m. The Member Engager session will provide a brief overview of together FAIRNESS WORKS, and focus on the importance of listening and building long-term connections between members and their unions. Register onlineHERE or go to the Sign In page at https://sms.clc-ctc.ca/imis15_prod/wcm For more information ontogether FAIRNESS WORKS, please CLICK HERE to visit the CLC website. Contact: Canadian Labour Congress – Pacific Region at pacific@clc-ctc.ca or 604-430-6766 There is no charge for registering for the event and lunch will be provided. Participants must register in advance. Please feel free to send multiple members from your local union, representing a variety of workplaces, to get the most out of the campaign planning segments of the training. OUR UNION ! YOUR UNION ! MY UNION ! Changes to the Canadian Labour CodeThe lives of almost one million Canadian workers will be placed in danger as a result of cynical amendments that the Conservative government is making to the Canada Labour Code. Buried deep in the government’s latest budget bill tabled on October 22 are amendments to the health and safety provisions of the Code that have nothing to do with balancing the budget, and everything to do with putting workers’ lives at risk.The government wants to water down the right to refuse dangerous work, end the role of federal Health and Safety Officers in the investigation process and give employers the power to discipline workers when they invoke the right to refuse dangerous work. All together, these changes would make the Canada Labour Code provisions on the right to refuse dangerous work the weakest in the country, and put workers’ lives at risk. These proposals have no business being put in a budget bill.Recently, some of you answered the call to action by sending an email to your MP and Ministers Leitch and Kellie, thank you. Help us to put a stop to these proposed dangerous changes by sending this action to a friend.We’ve also made an educational video to share that explains the changes simply and effectively, you can see this on youtube and share it with as many people as you can. Canadian Labour Congress – Bill C-4 Stop !!! Le nouveau projet de loi d’exécution du budget du Premier ministre Stephen Harper met en danger la vie des travailleuses et travailleurs et nous avons besoin de votre aide maintenant pour le bloquer. Les modifications au Code canadien du travail, profondément enfouies dans le document de 308 pages que son ministre des Finances vient tout juste de déposer, signifient que cetteloi fédérale sur la santé et sécurité deviendrait la plus faible législation canadienneen matière de droit de refuser un travail dangereux et mettrait en danger la vie de centaines de milliers de travailleuses et travailleurs. Le projet de loi C-4 va affaiblir l’actuel droit des travailleuses et travailleurs de refuser un travail dangereux. L’exposition à des substances toxiques susceptibles d’entraîner des maladies parfois chroniques ou des effets à long terme sur le système reproducteur ne sera plus une raison valable pour une travailleuse ou un travailleur d’invoquer son droit de refuser un travail dangereux. Imaginez, sachant ce que nous savons de l’amiante, qu’il serait désormais impossible pour un travailleur de refuser un travail dangereux si son employeur lui demande d’enlever de l’amiante sur un lieu de travail sans le matériel de sécurité adéquat? Pouvez-vous imaginer, sachant ce que nous savons aujourd’hui des effets de certaines substances chimiques sur la santé génésique des femmes, qu’une travailleuse n’aurait plus le droit de refuser d’effectuer un travail dangereux si le travail que lui donne l’employeur l’expose à ces substances? Les propositions des conservateurs feraient en sorte que le Code canadien du travail serait la seule législation en matière de santé et sécurité au pays qui permettrait à un employeur de prendre des mesures disciplinaires en toute légalité contre une travailleuse ou un travailleur qui refuse d’effectuer un travail dangereux. C’est un précédent dangereux qui doit être arrêté dès maintenant! Vous pouvez aider à y mettre fin dès maintenant! Faites-savoir à votre député ou députée ce que vous pensez de la décision du gouvernement Harper de mettre en danger la vie des travailleuses et travailleurs. Envoyez un courriel à votre député ou députée maintenant. Secure Aviation Transport Local Lodge 16 would like to welcome the all the following bargaining units to participate in the re-engage membership surveys. Dear brothers and sisters, Local Lodge 16 would like to welcome the following members who have volunteered to join the Political Action Committee. Fundraising, solicitation or money-raising techniques and familiarity with federal election laws. Ability to coordinate tasks, assign priority and ensure completion of desired outcomes. Ability to work independently, set priorities and achieve objectives with minimal supervision. Enjoy working closely with people. Politics governs every aspect of our lives. If we remain uninvolved, the world will change around us without any input from us. To change the world – the one we live in and the one we work in – we must be involved politically. The laws made in Parliament affect our workplace, our working conditions as our very lives. Get Involved!